Amazing! The sun has come out after storm Gareth, and the sky is dotted with the type of white fluffy clouds that I had forgotten existed anywhere outside a children's book illustration. I even glimpsed a rather prematurely enthusiastic crocus this morning. Perhaps Spring will spring after all, Easter will eventually arrive too and we can celebrate with a cheering cake? So bring on The Great Demijohn Easter Bake Off, to cheer us all up! 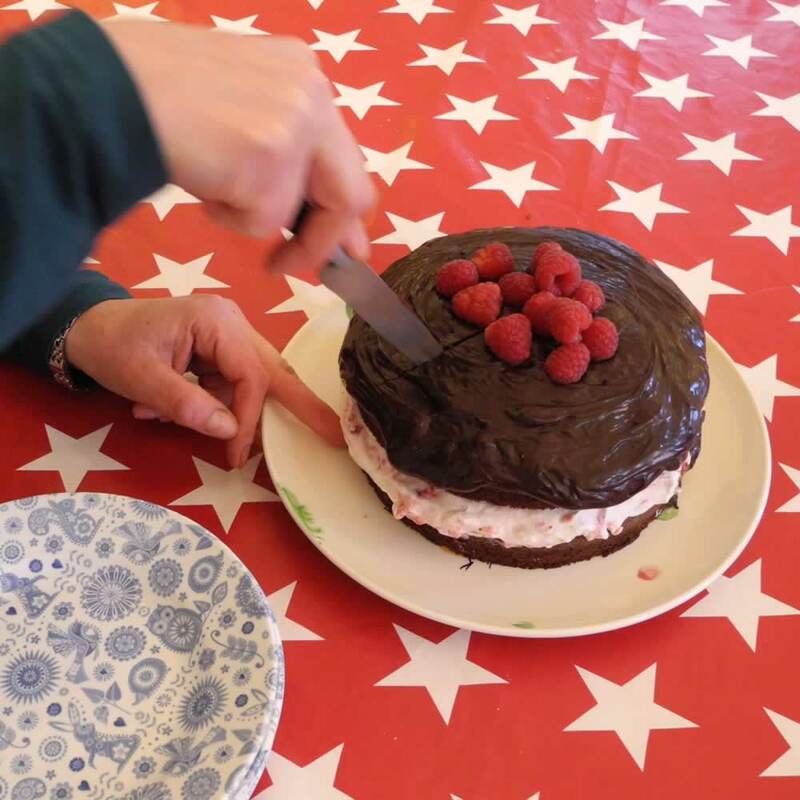 Cake seems particularly associated with Easter but since cake is best consumed in our family as a pudding (Mr Demijohn often receives a dissapproving glare at his attempt to heat up any cake and pair it with ice-cream regardless of how it is best served) I have experimented. The end result is a new recipe, our Sticky Spiced Rum Cake which uses our velevty smooth Spiced Rum Liqueur 20% in its recipe for both cake and sauce. 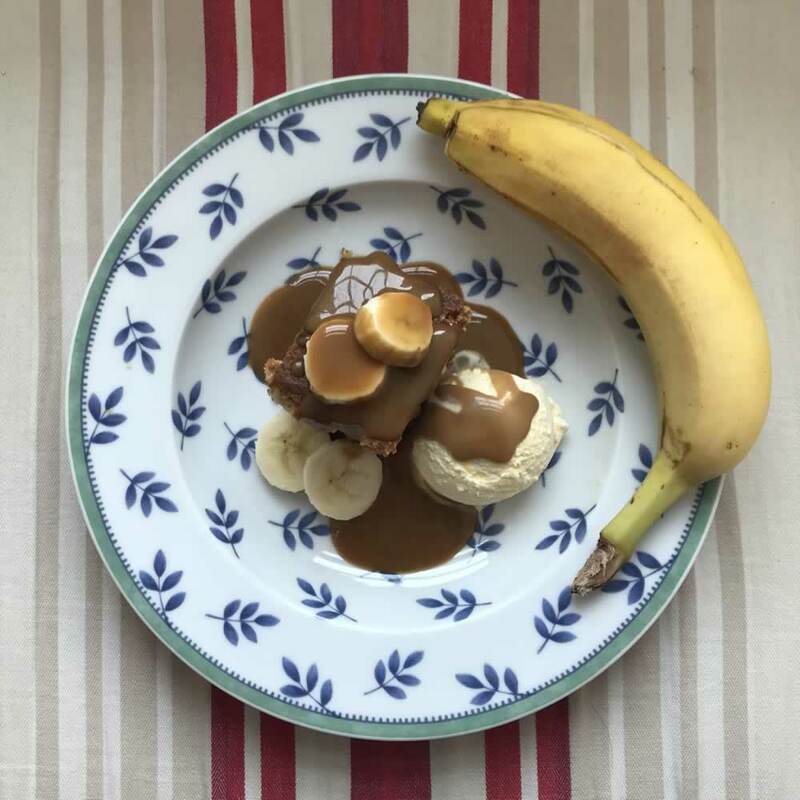 It is a banana loaf with a Spiced Rum Sauce in place of the more traditional sticky toffee pudding as I find cooking with treacle a rather dauntingly sticky process. If you are not a Sticky Spiced Rum Cake person, then we have a number of other simple and delicious recipes we think you will enjoy for Easter. For divine decadence, try our Chocolate Rum Cake, which uses our Chocolate Rum Liqueur 29.5%. If you are planning an Easter Tea Party and need a change from cake or cucumber sandwhiches, then we can recommend our Meady Mouthfuls Honey Mead Cookies. These delicious cookies are made using our Traditional Mead 14% and can perk up most tea parties! Another fabulous pudding to feed a family or a dinner party, is our Raspberry and Lemongrass Trifle. Using our popular and fruity Raspberry Vodka Liqueur 22%, we can thank long term customer Jackie Hancock for this inspired treat. Easter is set to be warmer and tastier with The Great Demijohn Easter Bake Off at its heart. We wish you a very Happy Easter baking with friends and family! As the snow flutters prettily past the Demijohn HQ window the medicinal qualities of Bramble Scotch Whisky Liqueur seem a particularly welcoming thought. In an impressively strong willed attempt to refrain for an hour or two from broaching the bottle I decide to peruse information on the Bramble itself. 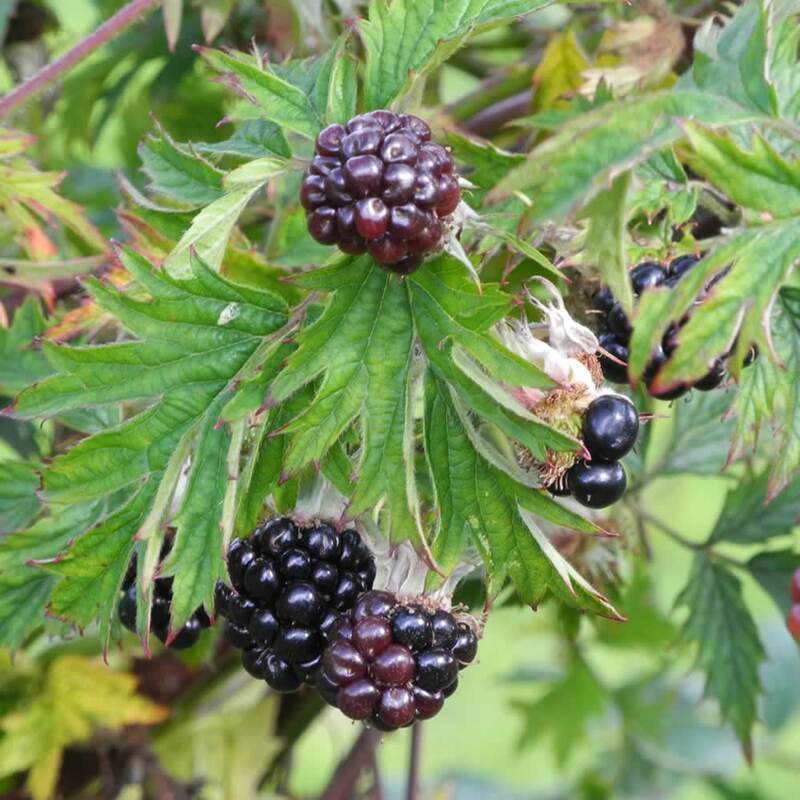 This vital and delicious ingredient in both our Bramble Scotch Whisky Liqueur and our delicious Bramble Vinegar is such a familiar weed in rural (and less rural) Scotland that we rarely think beyond escaping its thorny clutches. With a tiny amount of delving I immediately discover that the Bramble or Rubus fruticosus is a member of the rose family. On closer thought the scratches sustained from both are not dissimilar and there is some resemblance between the tiny pinkish white blossom of the bramble and the delightful blowsy blossom of a dog rose. The fruit of the bramble (or blackberry for those South of the border) is now considered an antioxidant “superfood”. Not only is it a great source of vitamin C, but also vitamin A, Omega3, potassium and calcium. (I knew a little snifter would have some benefits!). During the American Civil War blackberry tea was used to cure dysentery. More than one ceasefire was reportedly called for the purpose of picking blackberries and Confederate and Union soldiers would pick blackberries together, often from the same bush at the same time. It is even reputed to foretell winter weather: a very cold spell whilst the blackberries are in full flower (late June to July) is known as a Blackberry Winter. It foretells plenty of snow and ice later in the year. So that omnipresent weed the Bramble has many strings to it's bow. 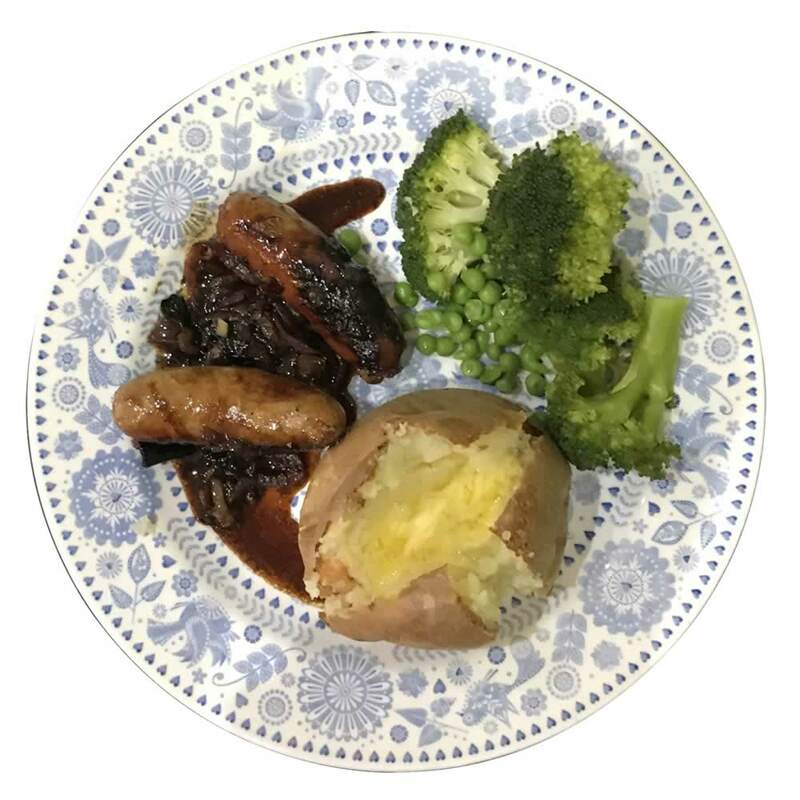 It is in the knowledge of it's amazingly beneficial properties that I embark on making this delicious warming winter dish, Sausages with Red Onion and Bramble Glaze, bolstered by the knowledge that it is doing us countless other goods! I hope you enjoy this recipe as much as we have, do contact us with any new recipe ideas you have for Bramble Scotch Whisky Liqueur, we are sure there are many more. Presents are everywhere at a wedding. Wedding presents for the happy couple, presents for the ushers, bride to be presents, wedding gift for the groom, presents for the parents of the bride and groom, wedding favours for the guests. And each present is a token of love thanking its recipient for being part, or being invited to be a part, of a very special day which is unique to each and every couple. Inevitably you want these presents to be as unique and tailor made as you, and this very special ceremony. So how to find the unique wedding gifts that says so much about the importance of this day? Perhaps commission a unique sculpture than encapsulates all that is so unique about the recipient. How glad they will be! Or will they? Perhaps they would be delighted to receive their very favourite animal – but then who on earth is going to look after the giraffe during the honeymoon, and the long, long years of giraffe life thereafter? Perhaps a truly unique experience - but then who, apart from, perhaps the occasional eccentric millionaire, would really choose a spacesuit as their going away outfit? 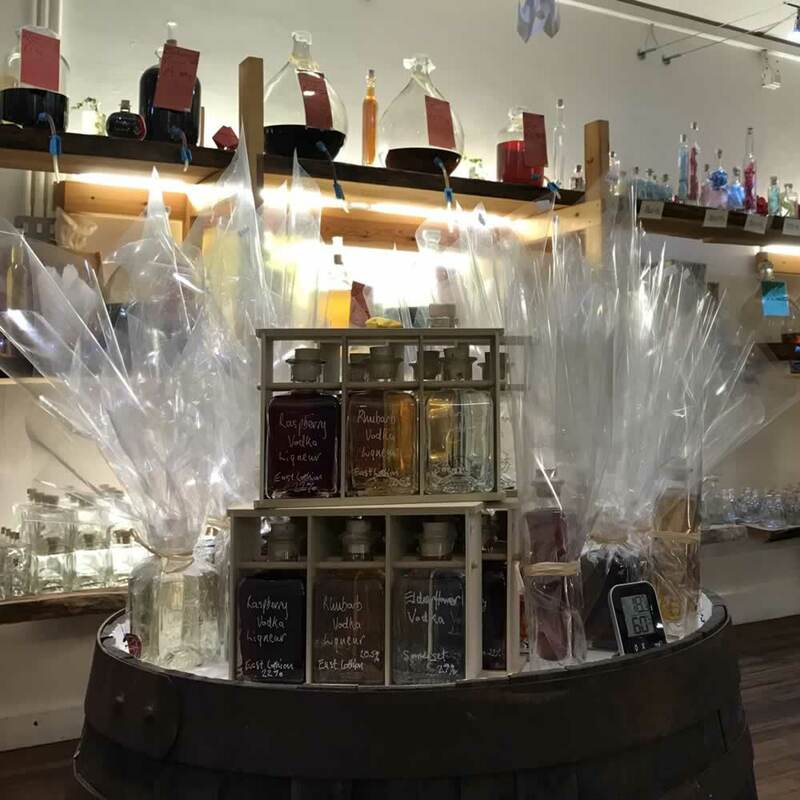 Demijohn's extensive selection of delicious drinks, oils and vinegars can be bottled and personalised so that no two gifts are ever the same. Or uniquely personalised sets can be bottled to your own specifications, and each have your chosen hand written inscription added to them. A handsome set of mystic 500ml bottles for the ushers, each filled with a whisky from our range of 5 different whiskies and whisky liqueurs? Perhaps for the hens who blossom into maids of honour a Mini Gin Rack would help them wind down happily from all the excitement? For the mother of the bride a Seville Orange Gin Gift Box might just hint to her how much you have appreciated her years of support. For the wedding present which will be treasured the Drinks Chest would be a truly wonderful present for a group of friends to club together for. Each drinks chest is made to order by our hugely skilled cabinet maker from beautiful oak so they are a marvellous rarity. And for the guests to remember the wonderful day our 40ml Apotheker bottles filled with any of our selection of drinks make your dinner tables sparkle with their jewel like colours and special message. If you would like more information on personalised wedding presents or wedding favours, please contact us. Here at Demijohn we have a gin for all seasons and gin cocktails for any weather. As Scotland has been roasting under 28 degrees several times this week, the temptation to reach for a cooling sip of Gin and Tonic as the evening approaches is beckoning. So often thought of as winter warmers even our darker fruity favourites such as Sloe Gin and Damson Gin can dress up in their summer finery in some of these spectacular cocktail recipes. If, like I do, you find this glorious heat makes you just a tad unproductive, embrace the enforced slow down with a Demijohn Wibble Cocktail, one of our many gin cocktails: a striking combination of Sloe Gin, Demijohnnie Gin, Grapefruit juice and lemon juice, with the tiniest dash of Bramble Scotch Whisky Liqueur. For a fruity summer refresher why not perk yourself up with our delightful Gooseberry Gin Liqueur. With the sharpness of that piquant little fruit it is delicious as a little snifter over ice or for a longer cooling quencher make it into an Evoque Cocktail, aka Gooseberry Gin and Tonic. To make your day sparkle and shimmer why not transform your champagne, prosecco, cremant or cava with a dash of Blackcurrant Gin to make a Blackcurrant Bellini Cocktail. A tart and vitamin c packed Kir! Feeling smooth and sophisticated. Then Celebrate your inner 007 with a Demijohn Classic Dry Martini Cocktail using Demijohnnie Gin, Dry British Vermouth together with some vodka, lemon and ice. Don't allow yourself to become a damsel in distress. Calm that frenzy by sipping on a refreshing Distressed Damson Cocktail. Muddle some crushed blueberries with lime juice, ice, and Damson Gin to create this zingingly fresh aperitif. At the end of the day let's appreciate our wonderful maritime climate bathing in whatever weather it has chosen to throw at us. Best of all to do this while enjoying a Citrus Sundowner Cocktail in the company of friends and family. 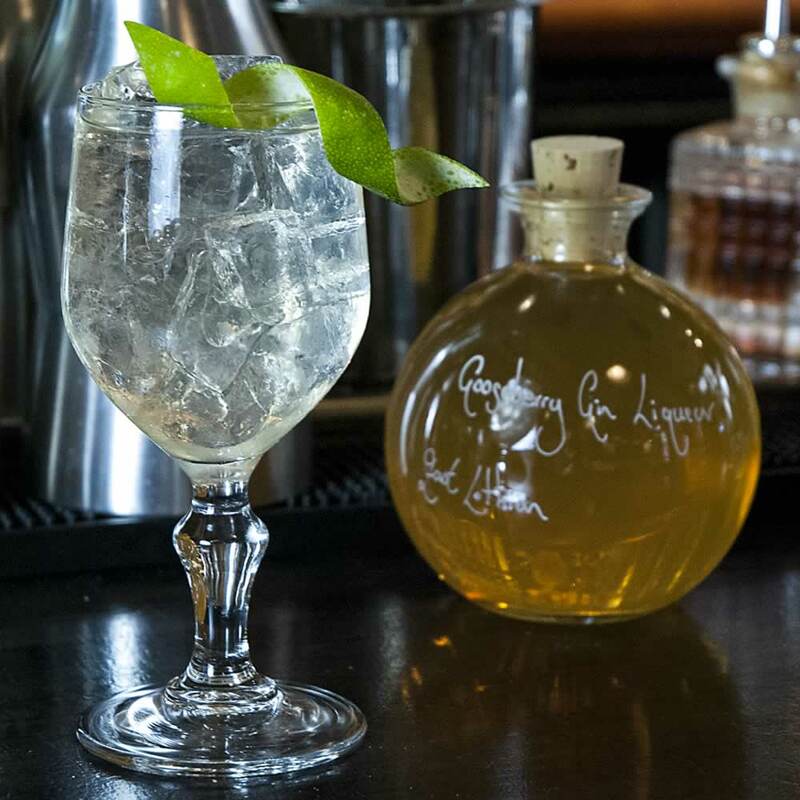 This spectacularly successful cocktail created for a great friend of ours is a delicious combination of Seville Orange Gin, Lime Vodka Liqueur and Ginger Wine topped up with Walter Gregor's tonic water. 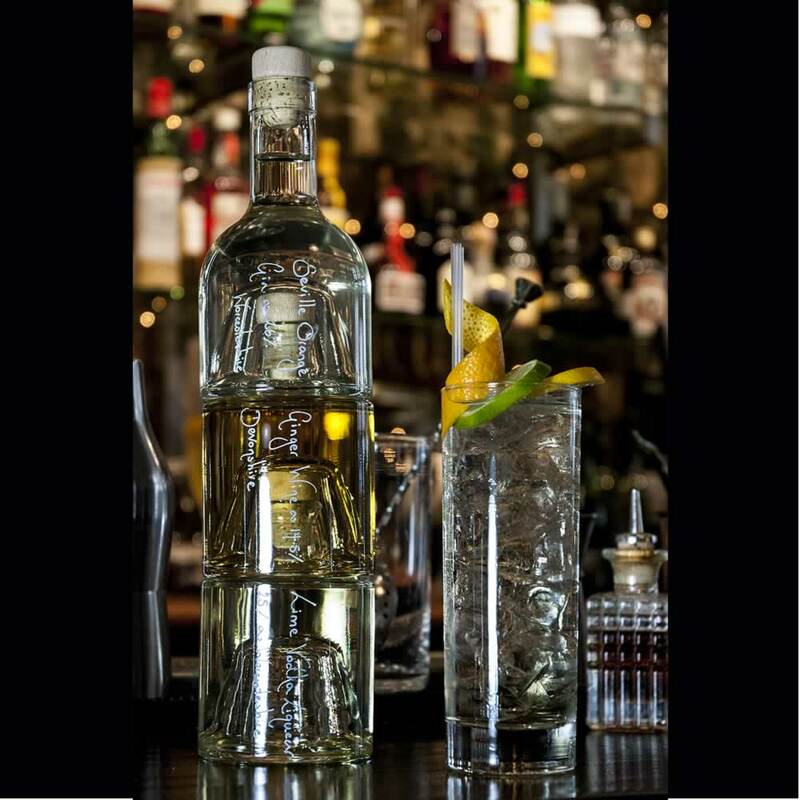 A Bientot and I'm off to raise a glass to the wide variety of Gins we delight in at Demijohn – Chin Gin! 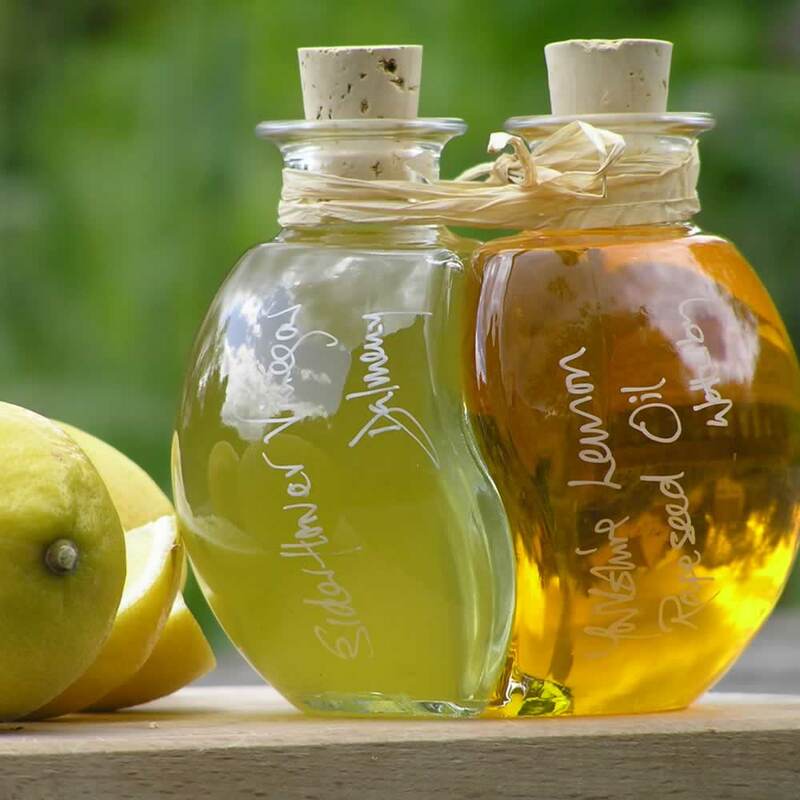 We have over the years sourced some of the finest olive oils, infused oils and balsamic vinegars that combine in salad recipes to create irresistible salad dressing recipes. From a simple pasta salad to the more complex bean salad recipe, these healthy salad recipes are easy to make and delicious to taste. Using our Villa Montalbano Extra Virgin Olive Oil from Tuscany. Gather a great bundle of fresh, mixed green salad leaves, from your garden if you are lucky enough to grow some. Once washed and prepared, place and mix together in your largest bowl for effect. Top tip! When choosing your salad leaves, make sure you balance the flavour of those leaves to your olive oil and personal taste. We like a really strong salad, to excite the tastes buds and make our guests cough! If you like a mild salad use a milder dressing so that your food is in balance. In this case we are going to the strong side of the salad spectrum with rocket, watercress and basil bulked out with red chard and a cheaper leaf such as gourmet medley. The result should be a nice colourful bowl of leaves. When dressing a salad with vinegar and oil, always adjust for salt and pepper first, drizzle the vinegar and wash through with your olive oil. In this case use our strong flavoured fruity Tayberry Vinegar and then wash through with our velvety smooth Villa Montalbano Extra Virgin Olive Oil. Using our Kabbadates Extra Virgin Olive Oil from Corfu. To make this simple Pea and Mint Salad use roughly 1/4 kg of fresh garden peas. 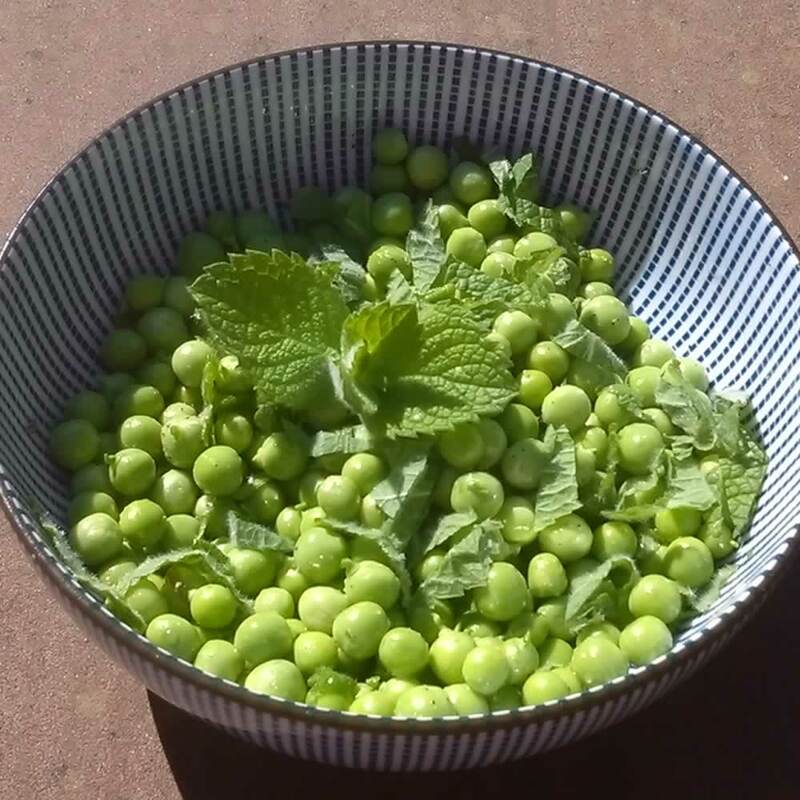 Remove the peas from their pods and add to a bowl with fresh mint, a splash of Kabbadates Extra Virgin Olive Oil and a splash of Apple Vinegar. Serve along with a light lunch or use as a starter with some good bread. Using our Monterosa Extra Virgin Olive Oil from Portugal. Clean and prepare a suitable quantity of asparagus spears rolled in olive oil, and fry hard in either a very hot frying pan or on BBQ until slightly scorched. Place in a cold dish and drizzle a generous amount of Monterosa Extra Virgin Olive Oil over the spears. Finally crack some sea salt over the spear prior to serving with cold meats. Using our Chilli Rapeseed Oil from Yorkshire. Chop a handlful of clean potatoes into small cubes and place onto a baking tray. Add some rough chopped garlic, with their husks removed. Drizzle a liberal amount of Chilli Rapeseed Oil over the potatoes and garlic and stir to ensure a good coating of oil over both. Finally crack some sea salt over the whole tray and then place in a pre-heated over at 180 degrees C for about 20 minutes. Every 5 minutes, lift out the tray and turn the potatoes, applying a little more salt, until all the potatoes have turned a crispy brown colour. Remove tray and serve either hot or cold with homemade Mayonnaise. Using our Rapeseed Oil from Perthshire. Prepare a suitable quantity of Cous Cous and allow to cool slightly in a mixing bowl. Chop peppers, olives, cucumber and add all to the bowl with a generous amount of Perthshire Rapeseed Oil and a dash of Gooseberry Vinegar. Adjust with salt and pepper to taste. Using our Lemon Rapeseed Oil from Yorkshire. As a guide you will need roughly one large vine ripened tomato and about half a 450g fresh mozzarella per person. Cut 5mm slices of both tomato and cheese and arrange on a salad platter with the tomatoes on the bottom over laid with the fresh mozzarella slices. Season with cracked sea salt and pepper prior to scattering a handful of fresh basil leaves and wild Wood Sorrel flowers (yellow, pink or white) over the plate. Finally dress the whole dish with a healthy amount of our Elderflower Vinegar and Lemon Oil, which we also call Elderflower Vinaigrette. The result is belissimo! Using our White Truffle Oil from Perthshire. Are you like us and always have a small bowl of left over cooked pasta in the fridge from a meal earlier in the week? Annoying isn't it! This is a great recipe idea to use up spare cold pasta so it does not go to waste. If the pasta is very fresh and still soft you might be able to simply add the ingredients directly to it. If not then throw the pasta once again briefly into boiling water and strain to revitalise it. Then add chopped chunks of salami or chorizo, peppers of various colours, halved raw button mushrooms and chunks of raw garlic. Drizzle a liberal dose of Truffle Oil and a splash of Gooseberry Vinegar and stir well together. Add cracked sea salt and pepper to taste. Serve with a generous amount of coarse grated Parmesan Cheese. We hope you enjoy these delicious recipes as much as we did when creating them. If it has unleashed a creative chef within you and you have thought up additional healthy salad recipes using our oils and vinegars, we would love you to share them with us. So please do contact us with any recipe ideas or suggestions. In the meantime, happy munching! What would make your wedding guests smile just a little more on your special day? It would have to be the sight of Demijohn’s delicious artisan alcoholic personalised wedding favours, which not only provide a great memorable gift but also give a splash of colour to the wedding table. 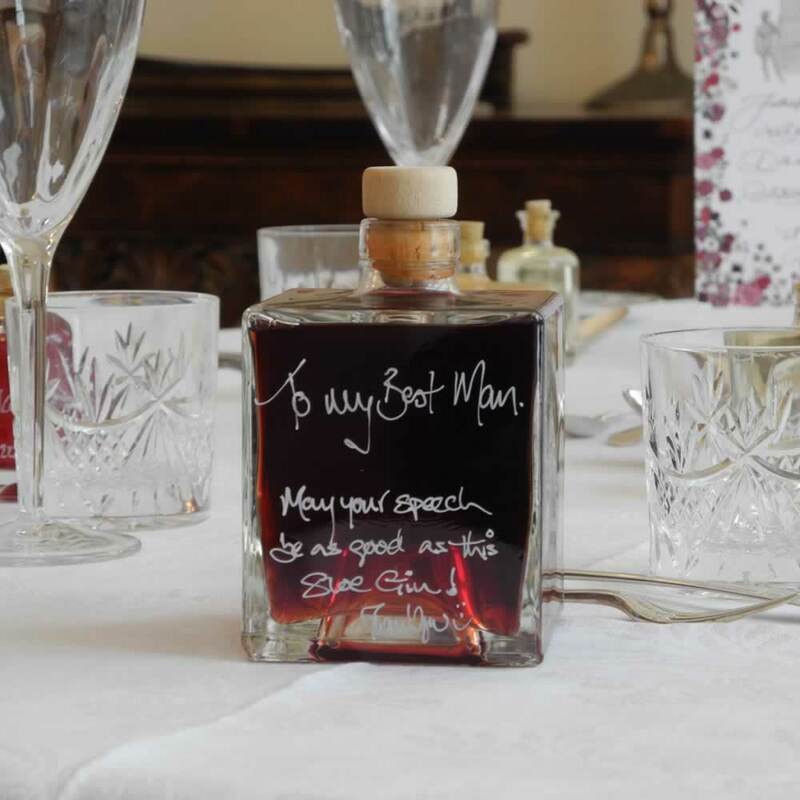 Gone are the days of sugared almonds or crass gifts, your wedding guests will love these wedding favours – for a summery theme a small bottle of Scottish Raspberry Vodka is ideal or for the romantics Traditional Mead is the drink of love. 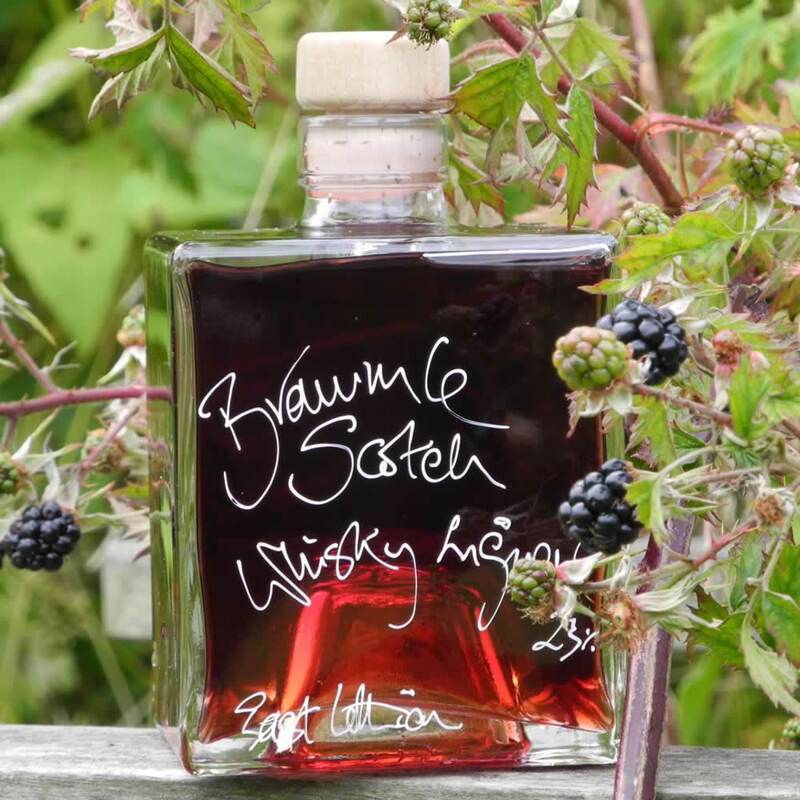 If you’d prefer a very Scottish gift, Bramble Scotch Whisky Liqueur is popular or to add a touch of spice to the day opt for Spiced Rum Liqueur. 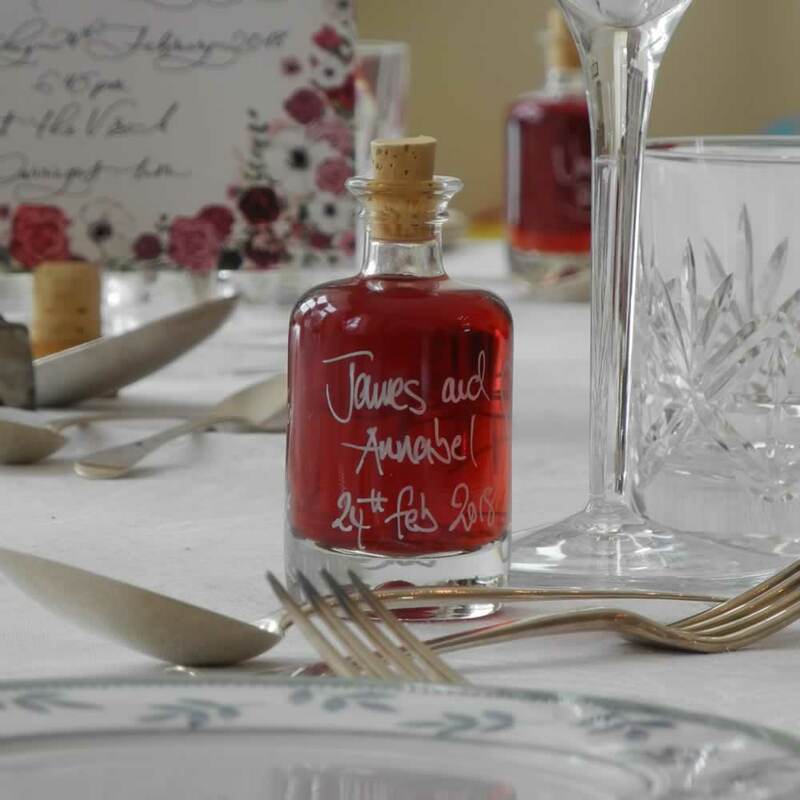 What makes these wedding favours particularly personal is each bottle can have a message on it or attached to it. 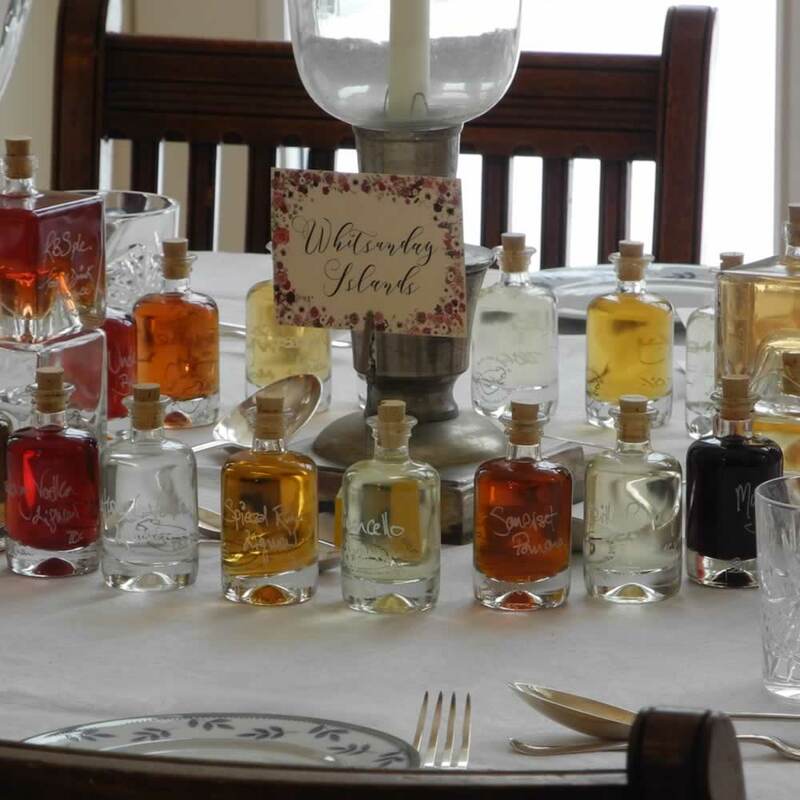 The bride and groom choose the size and shape of the glass bottle (from miniature 40ml up to bigger 100ml bottles – or even larger) and then can choose one of over 60 delicious artisan liqueurs, whiskies, spirits or fruit vinegars to go inside. The range of Demijohn products is huge and each liquid is more wonderful than the last. The favourites for wedding favours are Raspberry Vodka Liqueur, Damson Gin Liqueur, Bramble Scotch Whisky Liqueur, Toffee Whisky Liqueur, Traditional Mead or Spiced Rum Liqueur and all can be drunk on their own or with a mixer or in a cocktail. For those wanting something non-alcoholic there are natural cordials or fruit vinegars, which are delicious when mixed with sparkling water. The bottles are perhaps part of the love of these wedding favours as they can either be small round or larger wiggly Fila bottles or even much larger heart-shaped bottles. And guests can then return to a Demijohn shop and have it refilled. Prices start from £4.32/bottle with discounts for larger orders. 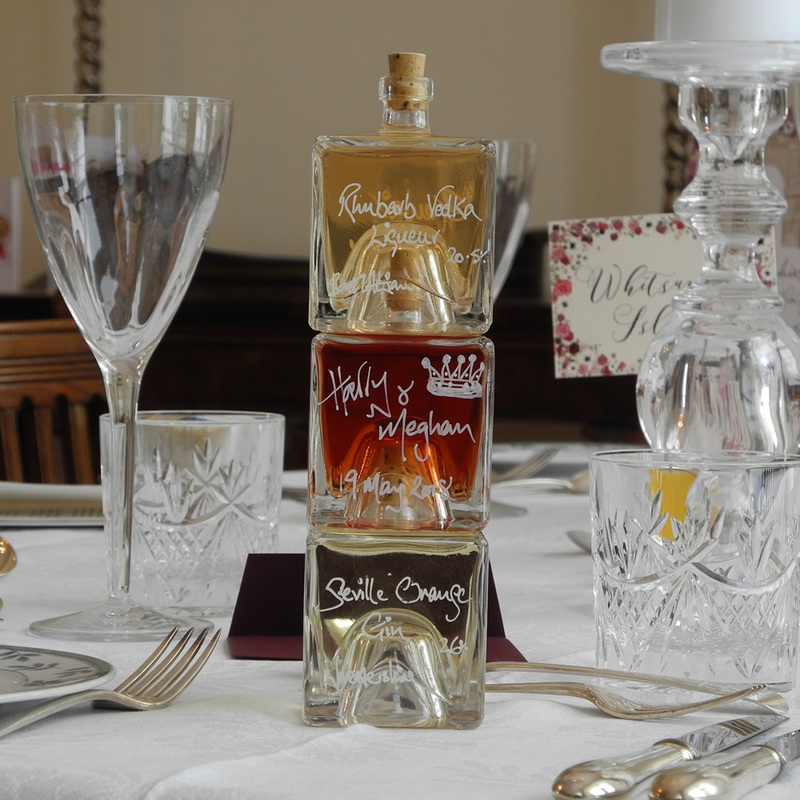 So make sure you contact Demijohn to discuss your wedding favours now before the summer rush! Spoil your Dad with liquid gold on Father’s Day with a present so rare and delicious that he can’t fail to enjoy it. 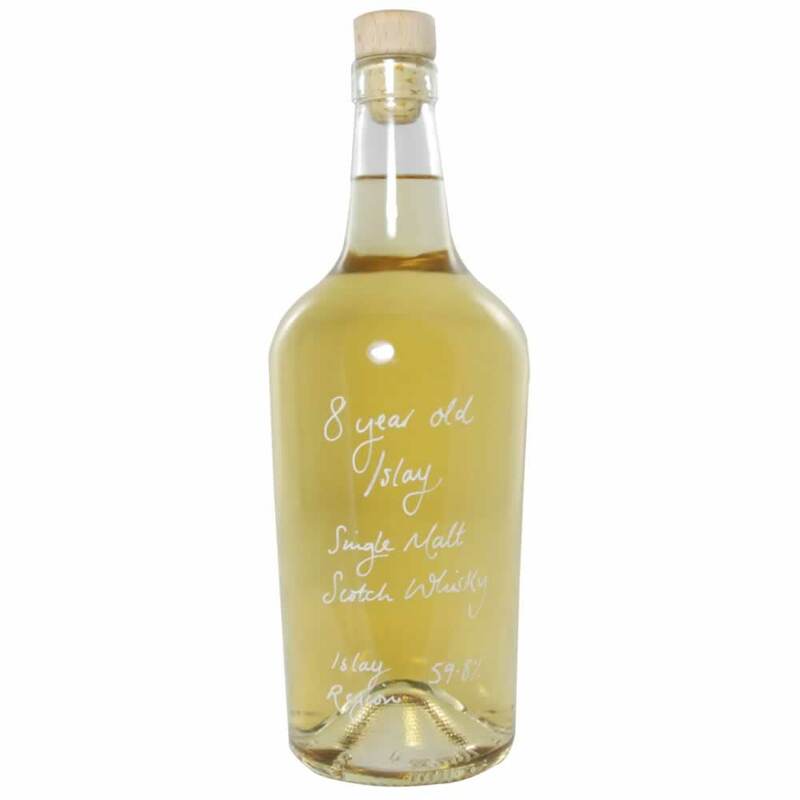 Liquid deli Demijohn has managed to acquire a very special, cask strength, 8 year old Islay Single Malt Scotch Whisky 59.8%, which it is releasing specially for Father’s Day. Father’s Gold, as a 700ml bottle of this amber liquid has been dubbed, is a particularly rare Islay malt whisky because of the limited production. At 59.8% proof it is certainly strong and has been deliberately bottled at cask strength, which is part of its rarity and appeal. It has a definite peaty note to taste and a wonderful smoky hint at the finish that can be likened to burnt grass or smoked meats. It is this unique taste that has delighted the palates of whisky connoisseurs and everyday drinkers alike. As an added extra Demijohn is able to add a personal message for free on every bottle so you can tell your father how special he is. 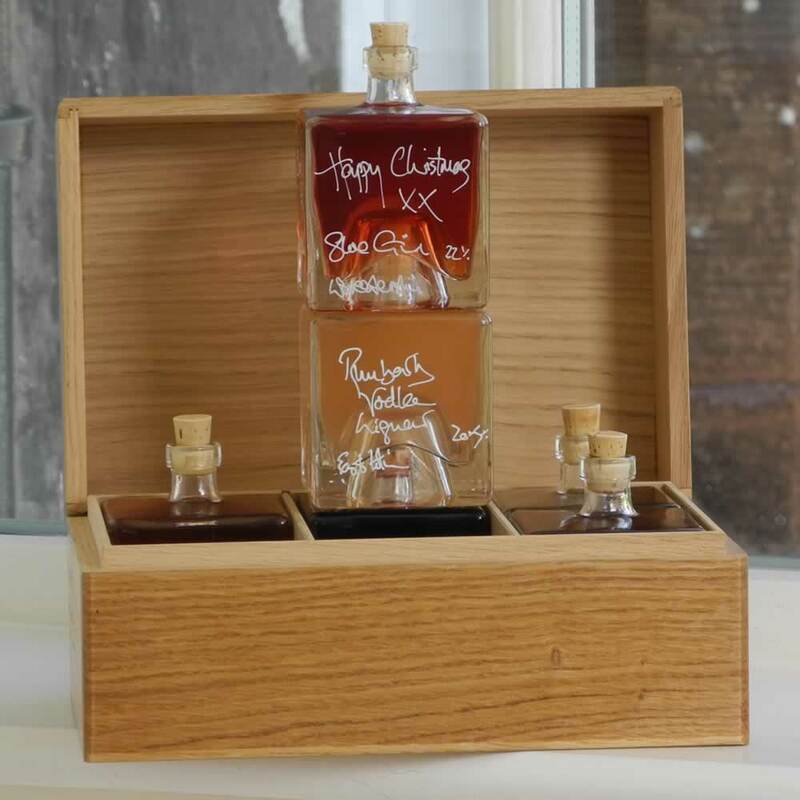 Demijohn’s Angus Ferguson adds: “As a proud Father of 3 children myself I understand how wonderful it can be to receive a special present on Father’s Day. 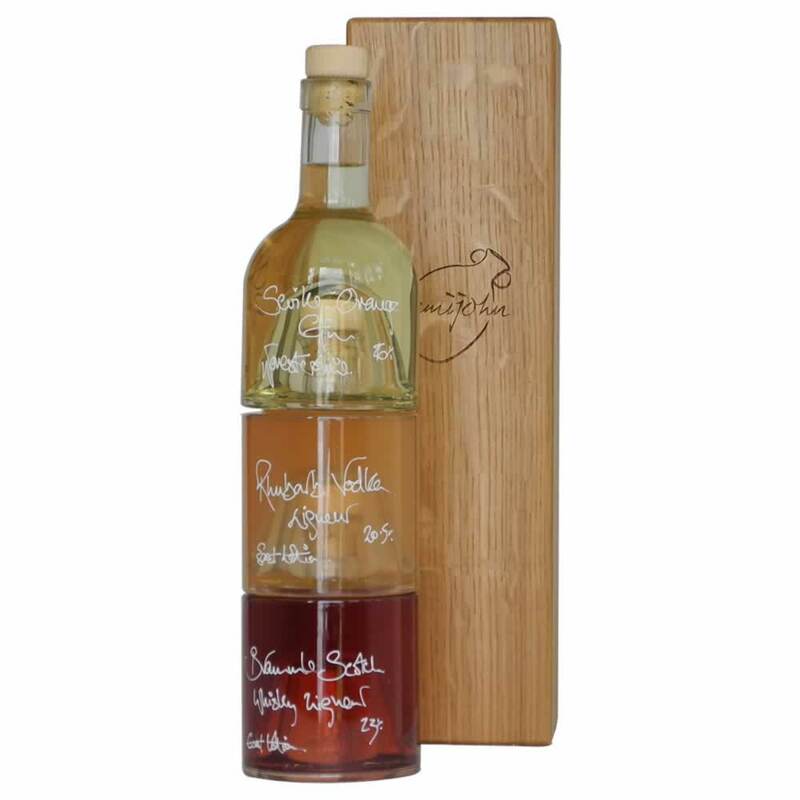 Our Islay Single Malt Scotch Whisky is very popular at Demijohn with Islay Malt Whisky lovers. If your Dad is one of these, he is going to really love our Father's Gold bottle. However, not all fathers like whisky. But all Dads do eat! So if your father takes great pleasure in cooking and eating salads, then our Oil and Vinegar Tower might be the perfect Father’s Day gift for the modern day Dad who is as happy in the kitchen cooking as in the garden shed. Priced from £31.15 without an oak gift box. Both these delicious products and many more ideas for Fathers Day are available at www.demijohn.co.uk or in any of their shops in York, Oxford, Edinburgh and Glasgow. Mother's Day falls on Sunday 11 March this year here in Britain. Interestingly, in the US it will be celebrated on 13 May. If you need something nice for your Mother on Mothering Sunday, we can help. Our selection of Mother's Day gift ideas is a great start to give you present buying inspiration, but there is so much more to choose from. Rhubarb and Ginger - £23.20 - A charming set of Ying & Yang 200ml bottles filled with our delicious Rhubarb Vodka Liqueur and Ginger Wine, which combine to make our Carrie Mak Cocktail. Mother's Day Warmer - £22.80 - Two tall and elegant Ducale 200ml bottles are filled with our fruity Damson Gin Liqueur and Ginger Wine. The result is a delicious, warming treat. The Gin Rack - £34.87 - A set of our 5 most popular gin liqueurs nestle in a handmade, British poplar wood tantalus to create the most beautiful rack of gins. If your Mother likes gin, this could be for her. Fila Oil and Vinegar Gift Set - £19.30 - 3 beautifully shaped Fila 100ml bottles nestle together to create a good looking gift set. Filled with our Villa Montalbano Tuscan Extra Virgin Olive Oil, Tayberry Vinegar and Apple Vinegar this is heaven for any salad lover. 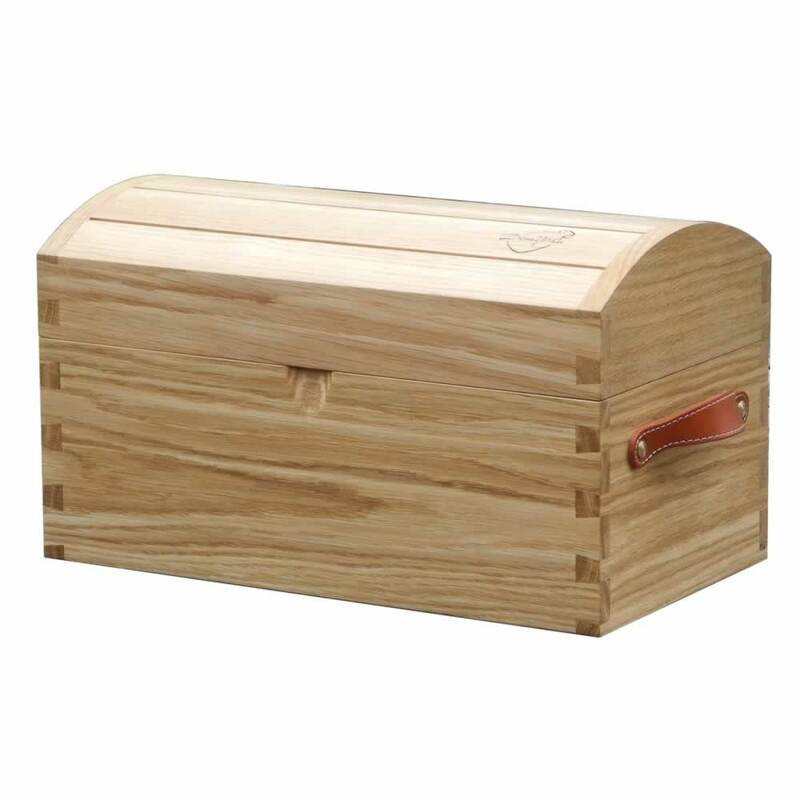 The Liqueur Box - £90.55 - Its beauty is in the simplicity of its design. 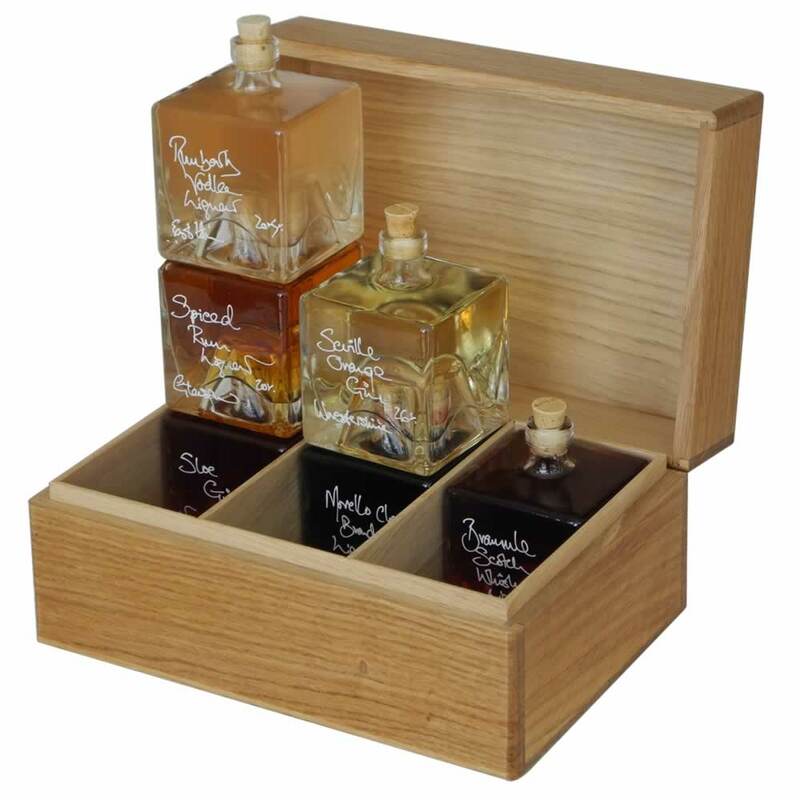 Our handsome British handmade Oak wood box contains a set of our 6 most popular liqueurs in charming cubed 100ml bottles. This is very special. Raspberry Vodka Liqueur (100ml) - £9.00 - Raspberry Vodka Liqueur has fun written all over it. Fruity, smooth and loved by all, this drink is simply delightful! Mini Vinegar Rack - £19.43 - If your Mother loves her salads and already has a good olive oil in the house, this is a beautiful compact set of our handmade vinegars that can refilled and re-used time and again. 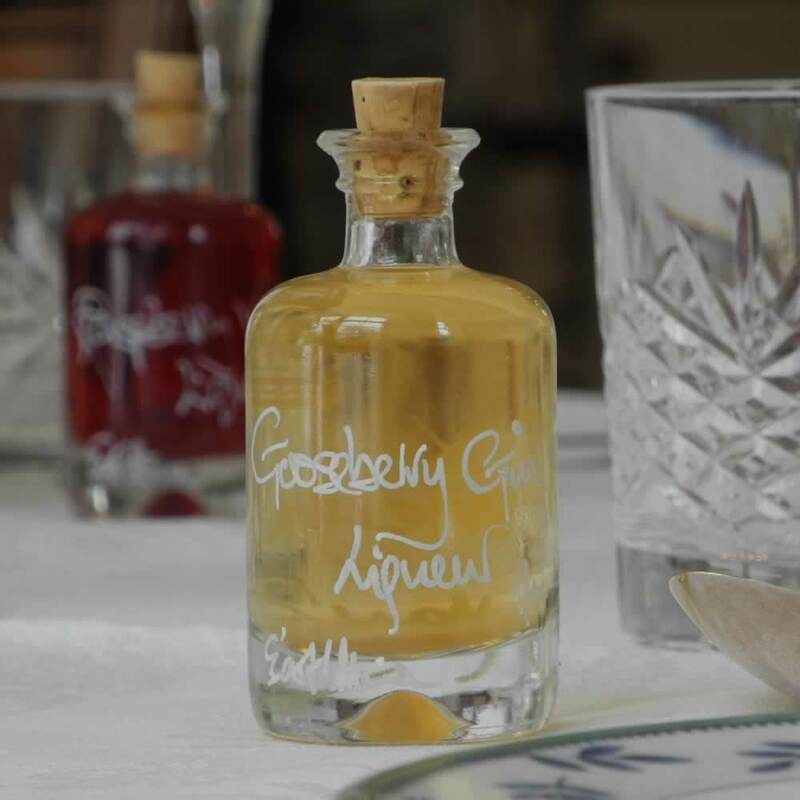 Gooseberry Gin Liqueur (40ml) - £4.88 - A very small taste of something utterly delicious. Small can be beautiful. 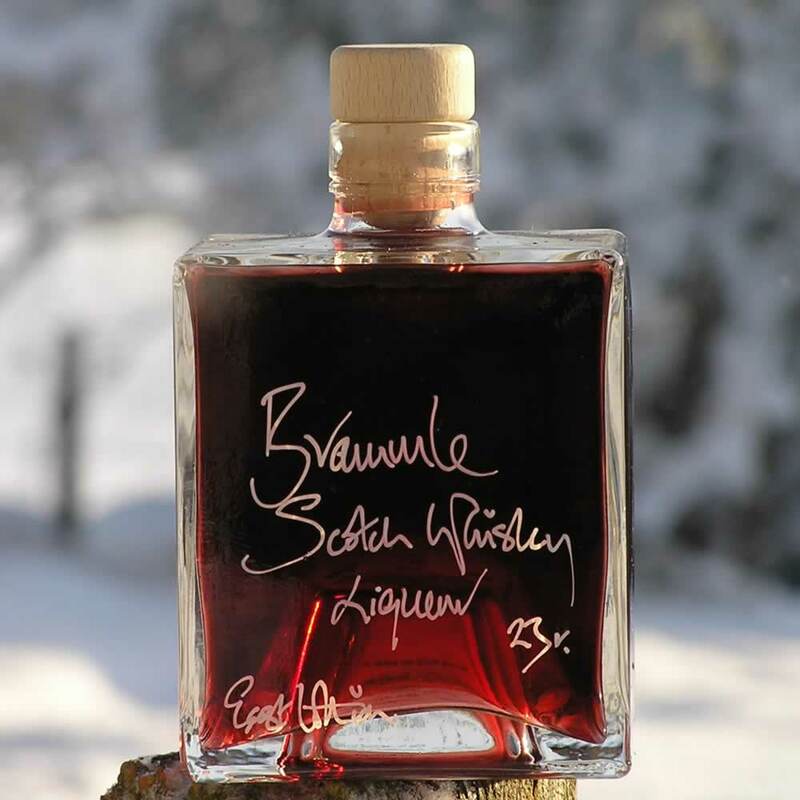 Bramble Whisky Liqueur (350ml) - £21.60 - Our Bramble Whisky Liqueur is one of our most popular drinks as it appeals to whisky drinkers and non whisky drinkers alike. Fruity with a cheeky tickle! Tasting for Two - £40 - If you would like to treat your Mother to a special day out, then do consider our Tasting for Two. Book it at a time and date of your choosing, in any of our shops, and tell us what you would like to taste. This is fun. So, regardless of where you live in the World the importance of Mothering Sunday is the same for us all. It is the moment to say thankyou, to show our love and remember happy times with our wonderful Mothers. We are here to help offer more ideas, as our suggestions are merely the start of the thought process when buying a special Mother's Day gift. Remember that each of our bottles varieties can be filled with any one of our 80 products, which gives you an extraordinary amount of choice. By the time we have written your chosen message and wrapped the bottles up beautifully for you, we can guarantee that your present for your Mother will be unique. As the summer season of Burghley, Game Fairs, picnics, trips to the races and shooting fast approaches, the must-have accessory will be the new Drinks Chest from Demijohn. Essentially a luxurious portable drinks cabinet, this upmarket item can be carried outdoors for all summer events whether to watch the horses, fish on the river or out onto the grouse moors. 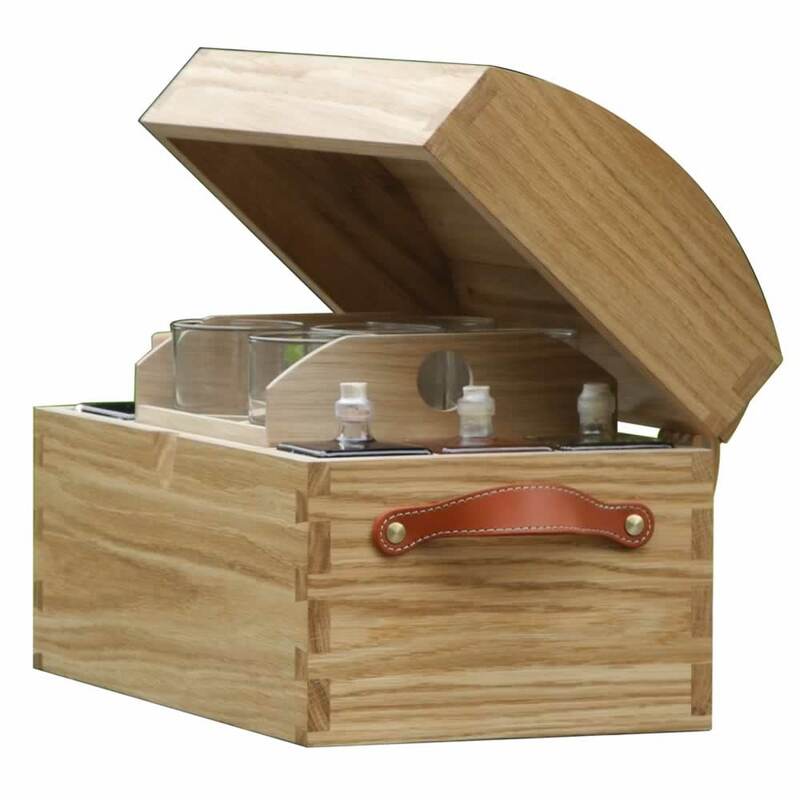 Handmade in Cumbria, from oak with strong leather handles, the Drinks Chest contains eight bottles of top quality hand-made small batch Demijohn liqueurs; two 500ml cube shaped bottles for the owner’s very favourite drinks and six smaller 100ml bottles in the same attractive shape. The sturdily constructed, yet easily carried, cabinet can be supplied with either 10 tumblers on two trays of five, or with a single tray of 14 elegant shot glasses. The Standard Edition Drinks Chest is delivered with its 8 bottles filled with some of Demijohn’s most popular liqueurs, including 500ml of both Bramble Scotch Whisky Liqueur 23% and Seville Orange Gin 26%, and 100mls each of Rhubarb Vodka Liqueur 20.5%, Sloe Gin 22%, Spiced Rum Liqueur 20%, Gooseberry Gin Liqueur 17%, Morello Cherry Brandy Liqueur 17% and Toffee Whisky Liqueur 20%. Together many of these make the most delicious Demijohn cocktails. The Drinks Chest is for sale with any selection of drinks from Demijohn’s unique range of handmade British drinks, including Single Malt Scotch Whisky. The exquisite hand craftmanship of this unique drinks cabinet ensures that your picnic will always be posher than next doors’ and also looks great displayed on a sideboard or table instantly giving a room the irresistible promise of abundant hospitality! The Drinks Chest’s combination of traditional materials and modern functionality are the result of 10 years of development. Unique to Demijohn, the Drinks Chest is designed and crafted by British Cabinet Makers in Cumbria from properly seasoned Oak sourced only from the UK and Europe. Bespoke versions are also available with personalised engraving on both the lid or sides of the chest and on the glasses. For shoots, both the tumblers and the shot glasses can be supplied with peg numbers on the bottom. Prices are offered on application for bespoke versions filled with alternative Demijohn drinks or requiring engraving. Choosing Christmas presents can be extremely stressful and time consuming. So we are trying to make it as fun and as simple as possible. Orders for pre-Christmas delivery should be placed with us by midnight on 18th Dec.Thankfully there is no rush yet. We are now open late until 7pm on weekdays to give you more time to browse and taste in our shops. Don't forget you can order online and use our free Click and Collect service to save you time when visiting one of our shops. We are here to help, so if you get stuck please contact us. We look forward to seeing you soon. Are you Gin Bore-beld? Demijohn has the solution! Christmas should, in my opinion, should be celebrated with all the good things in life. And in order to avoid the accursed over indulgence so synonymous with the party season I like to apply my rule of “everything in moderation”. Thanks to the diverse range of delicious delights offered by Demijohn I can remain true to that principal, while enjoying myself liberally! 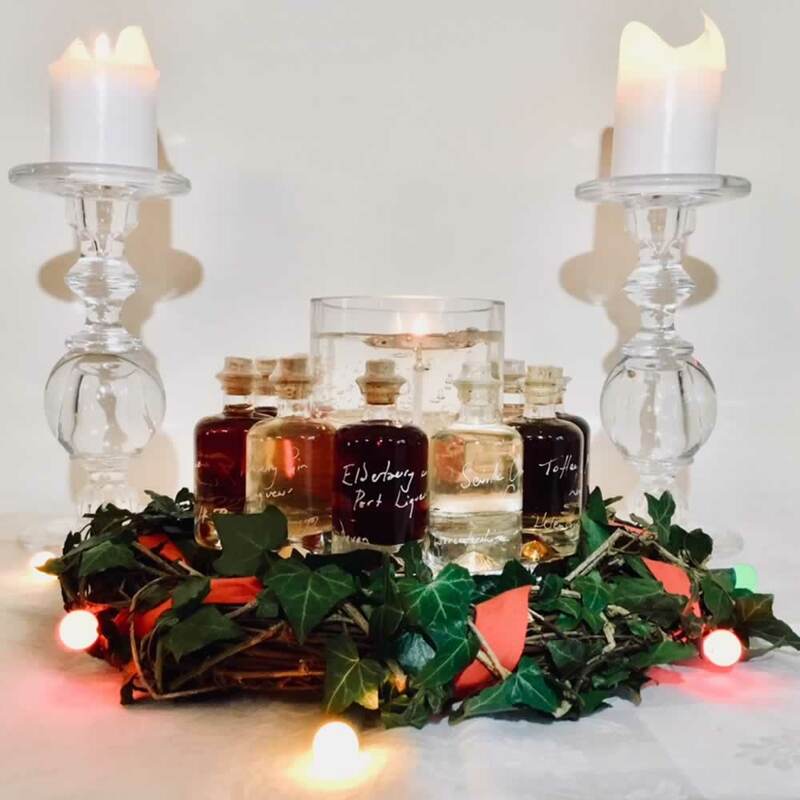 Our Apotheker 40ml miniature bottle lends itself so well to the application of this that I have devised 3 especially Christmassy treats for the festive season, each bringing a tiny taste of Demijohn to your, or your nearest and dearest's, holiday. These beautiful miniature bottles can be used as stocking fillers, baubles for your Christmas tree or wreath, or even to decorate your table centre piece. Brilliant! Firstly the More than Gin Baubles set comprising 6 charming 40ml Apotheker bottles each containing one of our favourite liqueurs. Around each bottle neck hangs a little raffia loop so that these tiny delights can be used to decorate a wreath, Christmas tree, or mantelpiece. The contents include our deliciously sunshine filled Limoncello Liqueur 32%, warming Toffee Whisky Liqueur 20%, indulgent Morello Cherry Brandy Liqueur 17%, our founding classic Raspberry Vodka Liqueur 22%, delightfully marmalady Seville Orange Gin 26% and the best of winter spices in our Spiced Rum Liqueur 20%. Contents can be varied by request, prices may vary if contents are altered. If the comforts of the toasty winter fire might cause the contents of this set to simply evaporate too swiftly why not plump for the 12 Apothekers of Christmas Set. This set includes 12 apotheker 40ml bottles each supplied with raffia hanging loop and a greater selection of our unique handmade drinks. Your Christmas tree or wreaths will simply look fabulous when decorated with this varied selection. For those of us who find it too painful to narrow the field I recommend the Advent Apotheker Set. 24 charming 40ml bottles, each supplied with a raffia hanging loop, contain a huge selection of different Demijohn delights for as they say “Variety is the spice of life.” This set is so wide and varied, you could use them as an advent calendar or decorate your Christmas tree, table centre piece or wreaths and still have spare for stocking fillers for your friends and family. 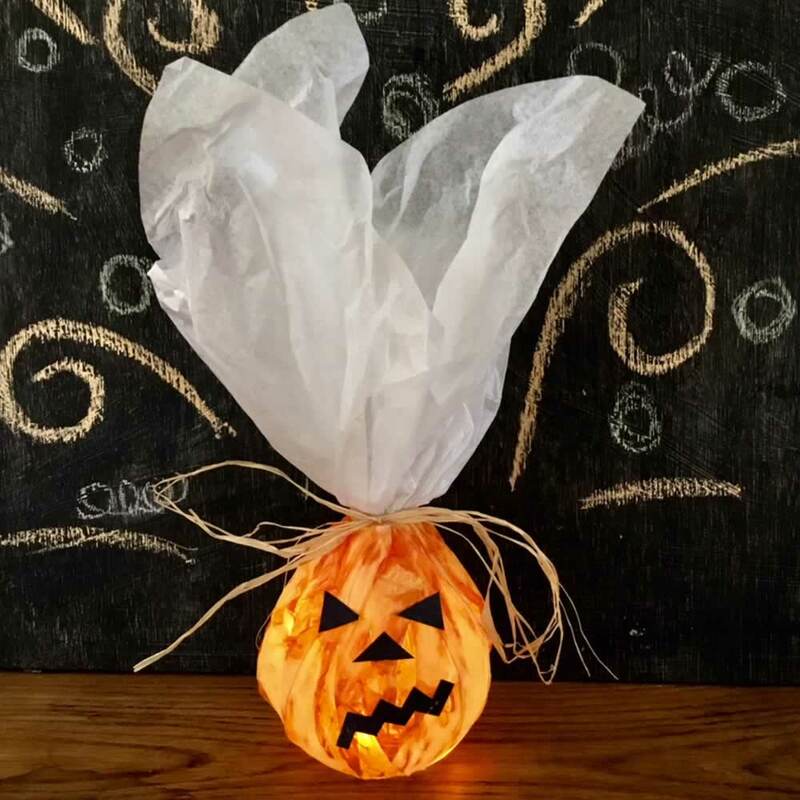 Demijohn News - Spooky spirits make frighteningly good cocktails! Halloween is not just for the children. We have put together a collection of suitably spooky Halloween Cocktails for you to try. If you are planning a grown up Halloween party in the next few days these delicious cocktails should make the party go with a woohoo! Thankyou to all who attended our first pre-Christmas Tasting evening earlier this week. We have a few places left for the next tasting evening which will be held in all shops on Fri 10th Nov for an hour starting at 6.30pm. Click to book your place. Congratulations go to Miss Emma Ferguson from Harlow who won our last competition for a Mini Gin Rack. Our latest competition is for a Ball of Sloe Gin. If you are feeling lucky click to enter the competition. We hope we have given you some good ideas for a tremendous party this weekend? Saying thank you to clients and staff at Christmas is an easy and thoughtful way to increase goodwill. But the secret is to give a gift that not only looks good and tastes good but is also original and desirable. To this end Demijohn have launched the most stunning presentation boxes, which are filled with delicious liqueurs and spirits, and all at different price points to meet your corporate Christmas gifts needs for those who enjoy the finer things in life. The added benefit of the Demijohn gifts is that personal messages can be added on the bottles for free or for an additional fee, an engraving of choice, such as the company logo, can be marked in the actual wood. The Demijohn boxes are like all Demijohn products – lots of different sizes, shapes and contents so you can make a mass order and satisfy everyone from the office staff to the board directors. For those in high positions there is the upright Liqueur Tower (with oak gift box) which holds 3 stackable x 250ml Impilabile bottles in a stunning box. 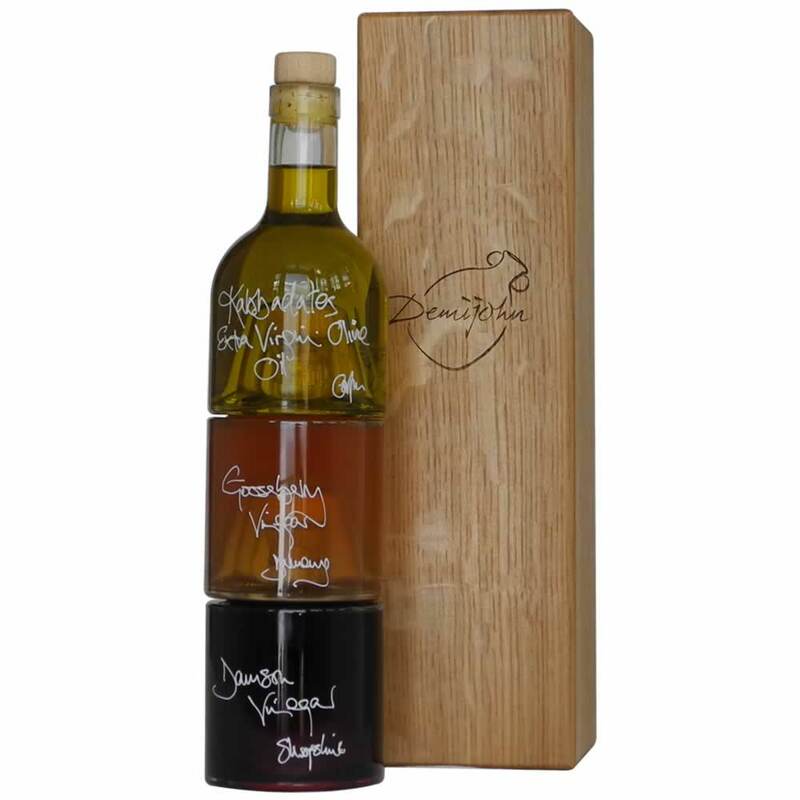 The contents of the bottles can be chosen from any of the Demijohn products, but Demijohn recommend the lovely combination of Seville Orange Gin, Rhubarb Vodka and Bramble Scotch Whisky Liqueur as a sophisticated trio. The Liqueur Tower (with Oak Gift Box) is priced at £88.15. 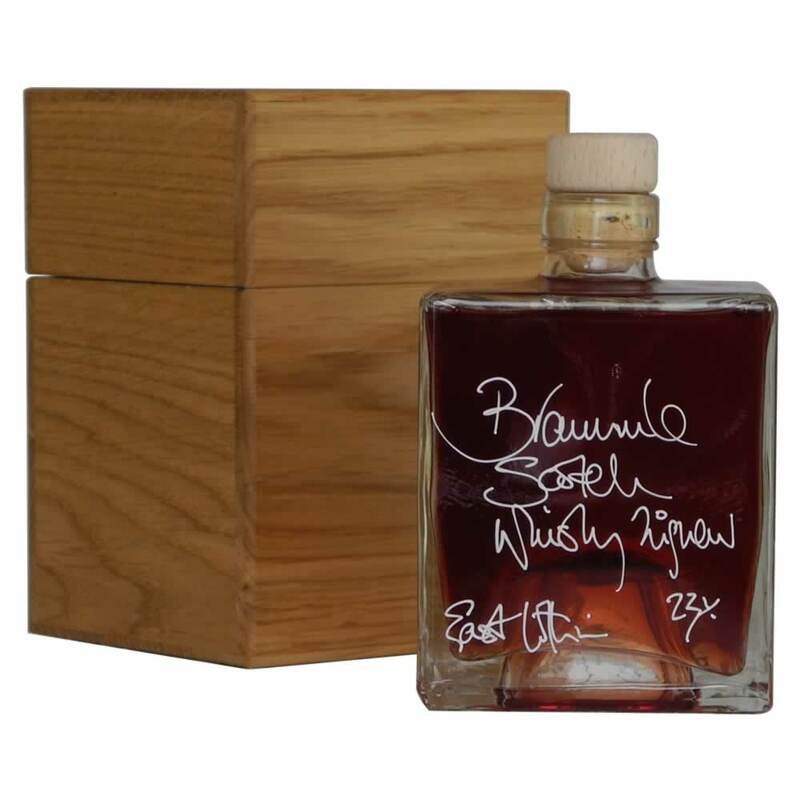 For the pillar of the company, there is the Sloe Gin Gift Box which contains a 500ml Mystic bottle of the world’s best artisan gin (as voted in the World Sloe Championships for the last 3 years running) and comes in the most stunning oak presentation box. Made in Worcestershire from sloes collected from the hedgerows, often by the Demijohn team who shut up shop to do a day of foraging, this is a traditional liqueur with an added bitter taste making it ideal as a fresh air sharpener, an after dinner digestif or even in cocktails. But hurry as stocks of this product are limited given its seasonal nature. Priced at £62.95. For those that went the extra mile this year, The Liqueur Gift Box is ideal. Hand created oak boxes hold 6 x 100ml bottles of the best of Demijohn’s liqueurs, including Rhubarb Vodka Liqueur, Seville Orange Gin, Spiced Rum, Sloe Gin, Morello Cherry Brandy and Bramble Scotch Whisky Liqueur. Of course, if you’d rather choose your own liqueurs then that is also possible. Priced at £90.55. For team players the Mini Christmas Stacker is perfect, priced at just £27.60. Three Mystic 100ml bottles are filled with warming Christmas drinks – Sloe Gin, Spiced Rum Liqueur and Morello Cherry Brandy. For the teetotaller don’t despair, Demijohn have a non-alcoholic gift - the Cordial Gift Set, comprising 3 charming 100ml Chiara bottles filled with our handmade fresh Raspberry Cordial, Lemon & Mint Cordial and Rhubarb & Ginger Cordial, all held together in a poplar wood rack or tantalus. Only a small amount of cordial is required to be diluted with still or sparkling water, garnished with lime, lemon or other fruits and is a very upmarket and delicious option for non-drinkers and drivers. Priced at £29.10. All can be bought at one of the Demijohn shops in Edinburgh, Glasgow, York or Oxford or online at www.demijohn.co.uk. Your corporate Christmas gifting done in one order so hurry and place it now! To give a Christmas gift that not only looks good and tastes good but is also original and desirable is hard to find. Artisan drink-ie and foodie company Demijohn have launched this week the most stunning presentation boxes. They are filled with delicious liqueurs and spirits, and all at different price points to meet your Christmas needs for those who enjoy the finer things in life. For the sleek family member or friend choose the Impilabile Presentation Boxes which holds 3 stackable x 250ml Impilabile bottles in a stunning upright box. 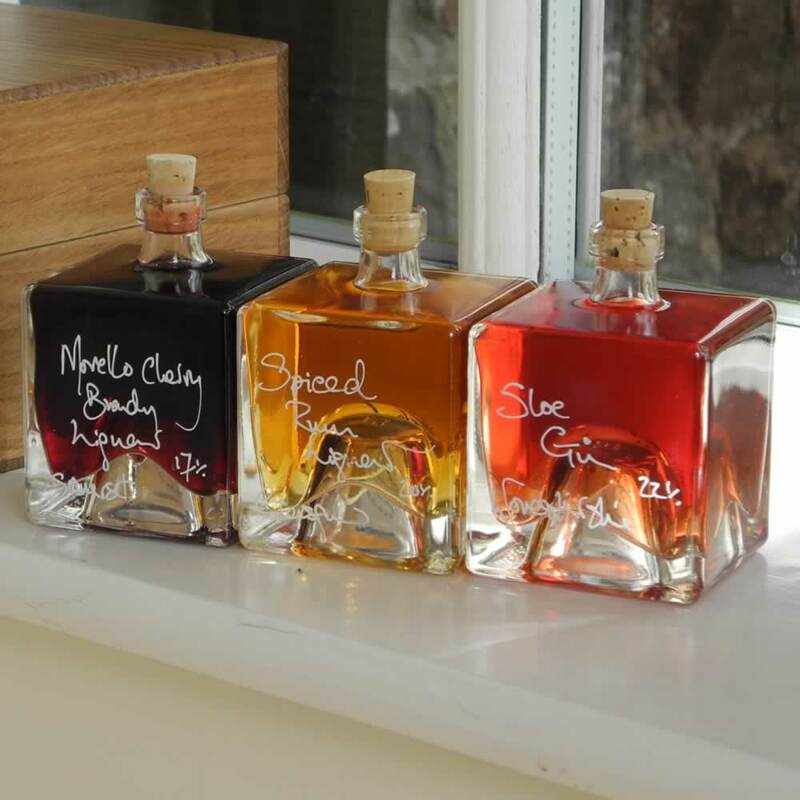 Customers can choose the contents of the bottles from any of the Demijohn products, but Demijohn recommend the lovely combination of Seville Orange Gin, Rhubarb Vodka and Bramble Scotch Whisky Liqueur as a sophisticated trio. The Liqueur Tower with Oak gift box is priced at £88.15. 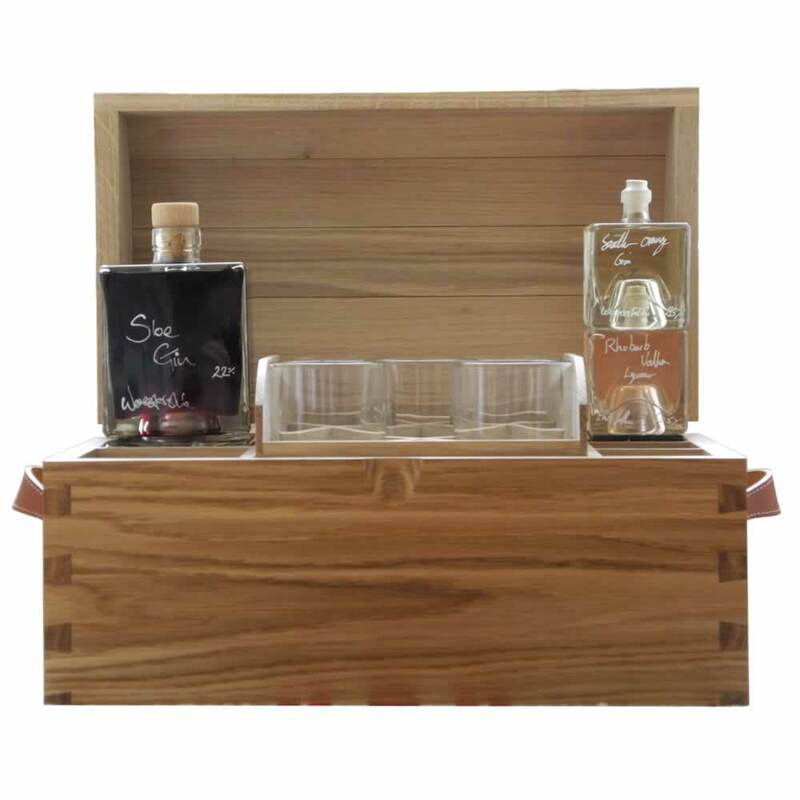 For the individualist there is the Sloe Gin Gift Box which contains a 500ml Mystic bottle of the world’s best artisan gin (as voted in the World Sloe Championships for the last 3 years running) and comes in the most stunning oak presentation box. Made in Worcestershire from sloes collected from the hedgerows, often by the Demijohn team who shut up shop to do a day of foraging, this is a traditional liqueur with an added bitter taste making it ideal as a fresh air sharpener, an after dinner digestif or even in cocktails. But hurry as stocks of this product are limited given its seasonal nature. Priced at £62.95. For the person who loves luxury then The Liqueur Gift Box is ideal. Hand created oak boxes hold 6 x 100ml bottles of the best of Demijohn’s liqueurs, including Rhubarb Vodka Liqueur, Seville Orange Gin, Spiced Rum, Sloe Gin, Morello Cherry Brandy and Bramble Scotch Whisky Liqueur. Of course, if you’d rather choose your own liqueurs then that is also possible. Priced at £90.55. If budgets are tight the Mini Christmas Stacker is perfect, priced at just £27.60. 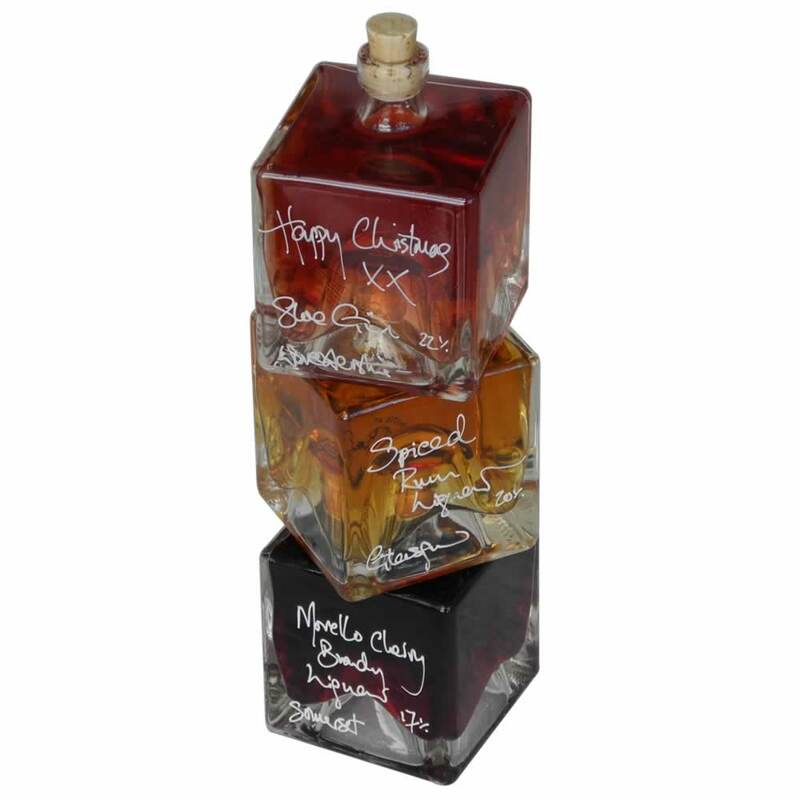 Three Mystic 100ml bottles are filled with warming Christmas drinks – Sloe Gin, Spiced Rum Liqueur and Morello Cherry Brandy. This little present will certainly spice up a Christmas morning. For the teetotaller or driver in the family Demijohn have a non-alcoholic gift - The Cordial Gift Set, comprising 3 charming 100ml Chiara bottles filled with our handmade fresh Raspberry Cordial, Lemon & Mint Cordial and Rhubarb & Ginger Cordial, all held together in a poplar wood rack or tantalus. Only a small amount of cordial is required to be diluted with still or sparkling water, garnished with lime, lemon or other fruits and is a very upmarket and delicious option for non-drinkers and drivers. Priced at £29.10. The appeal of the Demijohn gifts is that they can all be personalised with either a complimentary handwritten message on the bottles or for an additional fee, an engraving of choice can be marked in the actual wood. All can be bought at one of the Demijohn shops in Edinburgh, Glasgow, York or Oxford or online at www.demijohn.co.uk. Christmas done in one order so hurry and place it now! The number of people opting for a non-alcoholic drink has grown massively in the last few years, fuelled by health scares and stricter drink driving laws. But the soft drinks or cordials on offer are pitifully few and often are over-sweetened fizzy drinks or just plain water, making a fun evening stretch into a long thirsty desert. Not now - artisan liquid deli Demijohn has just launched six new handmade cordials that make being teetotal fun! Having tested the market (and promptly sold out) in November 2016, they launched properly at The Royal Highland Show in Edinburgh and have been hailed as totally amazing. With six flavours – Nettle, Elderflower, Raspberry, Lemon & Mint, Rhubarb & Ginger and Lime & Chilli – they are so concentrated that you only need a small amount to dilute with sparkling or still water. They are handmade by micro producer Charlotte Grant who is not only immensely passionate about making cordials, but has a magical skill. Charlotte has been making amazing cordials from hedgerow ingredients gathered in and around her Suffolk home for a number of years. All the ingredients wherever possible are British grown or foraged from the hedgerows so supply is limited as many are seasonal (the elderflowers for example are only around for a few short weeks in June). 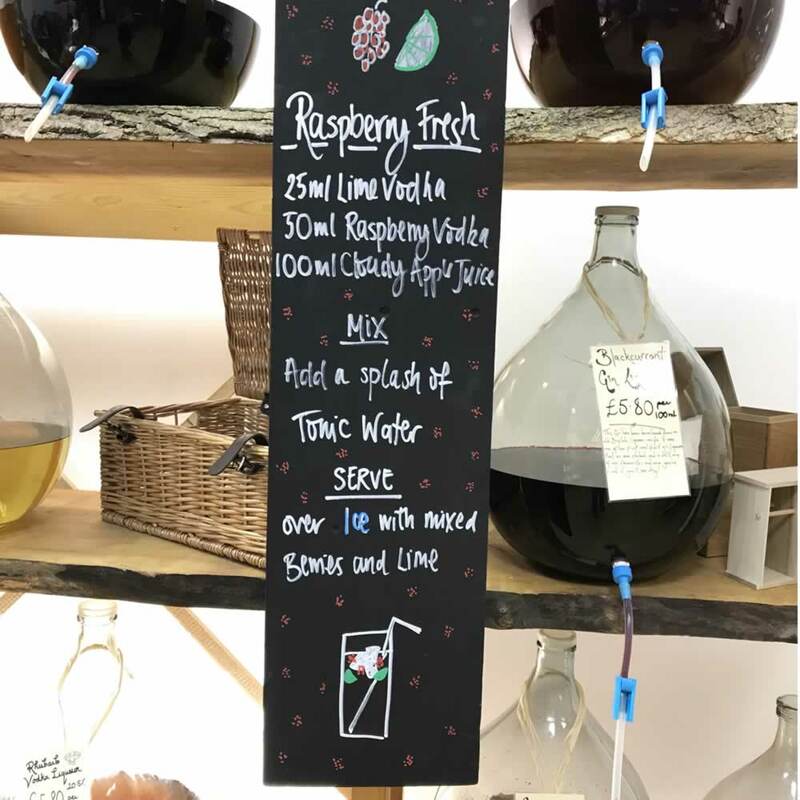 The cordials are priced at £6.45 for 100ml, £9.95 for 375ml and £12.75 for 500ml sealed bottles and are available in store and by mail order via Demijohn’s website. If May was for Martinis, June is for celebrating the arrival of Summer and the eating of many salads! To make your salads even more exciting we have added a super fruity new Damson Vinegar to our range of oils and dressings. Our Damson Vinegar is made by infusing a rare variety of Damson, called the Shropshire Prune, in a White Wine Vinegar. The result is a beautifully rich tasting Damson Vinegar which is sweet but sharp. Use it to dress your salads with a little of our Extra Virgin Olive Oil, or add it to your cooking in the place of a Balsamic Vinegar and witness a little magic. If you are planning a BBQ this weekend we recommend you try our Scorched Asparagus Spears recipe. British Asparagus is still in season and it is a super simple treat to make. As a variation to our Traditional Balsamic Vinegar ingredient, try using either our new Damson Vinegar, Tayberry Vinegar or Blackcurrant Vinegar instead. Our Tayberry Vinegar is a Winner! As we seem be on a vinegar roll this week, it would be wrong not to mention that our Tayberry Vinegar, which we launched last year, just happened to win Best Retail Product in the recent Scotland Food & Drink Excellence Awards. Voila! Thankyou for reading and we look forward to seeing you somewhere soon. May is the most wonderful month where nature seems to give itself a whopping great shake and come alive. Opulent colours mix with the deafening noise of the birds and bees, it is simply superb is it not? In the midst of this excitement, Frances and I decided to experiment with our new Dry British Vermouth, just to see if we could remember how to make a Classic Dry Martini and develop some new Martini cocktail recipes. Our new Dry British Vermouth is at the heart of our Martini experiments. It is a unique and complicated drink, handmade just North of Edinburgh. A British White Wine delicately infused with 24 herbs including Wermod, produces a simply magical ingredient for any Martini Cocktail or gentle aperatif when mixed long with soda, ice and lemon. Like the natural World around us, not only did we giving ourselves a whopping great Spring shake, but we discovered just how simple to make and pleasurable the Classic Dry Martini cocktail can be. Top of our new creations was our Sloe Gin Martini, followed closely by our Morello Martini and Raspberry Vodka Martini. What we really discovered is that May is for Martinis. What that means for June is hard to tell....! Thankyou to all who came oozing with enthusiasm to see us at Badminton Horse Trials at the start of the month. It was a tremendous way for us to kick off our year. Our next event is a big party in Oxford this weekend. Come and join us on Sat 20 May for the second Little Clarendon Street Party. Between noon and 4pm all the small independent businesses in our street will be celebrating in style with various live music performances and bunting to give the day a little sparkle. We will be mixing up some Mocktails to try and hopefully the sun will shine! Please be warned that we are deliberately exhibiting at some new events this year. As a result we will not be at the BBC Summer Good Food Show for example. Instead, if you are in North Yorkshire, we will exhibiting at the Ripley Castle Grand Sale near Harrogate for the first time, between Thurs 8 and Sun 11 June. All of our events for the year are listed on our Fairs & Events page and are updated regularly. If you have missed us, sorry. Please either visit one of our shops or order from us online. Congratulations go to Mr Peter Walker from Warminster for his win at the end of March of our Certainly Wood £30 Wood Bundle and Olga Brecht in Oxford who won our Easter competition for a Chocolate Orange with a Difference. 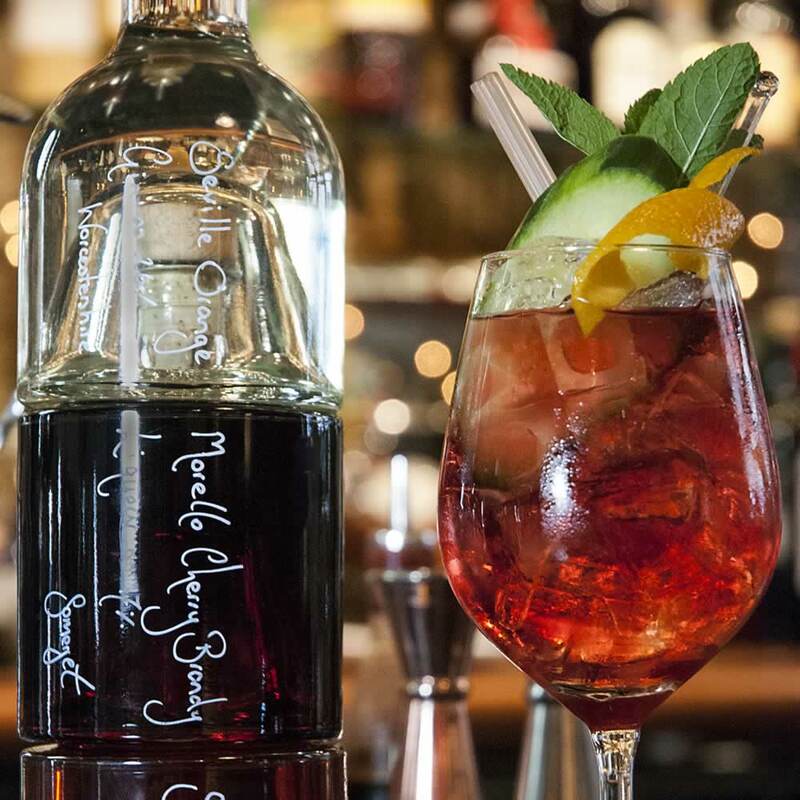 Click to enter our new competition for a Ball of Marmaldy Gin which is now in full swing. Good luck! Thankyou for reading and we look forward to seeing you soon. Mini Yummy Mummy Rack - £25 : A beautiful set of the 3 gin drinks needed to make our delicious new Yummy Mummy Cocktail. Mother's Day Warmer - £23 : Fruity Damson Gin and spicy Ginger Wine, what is not to like? 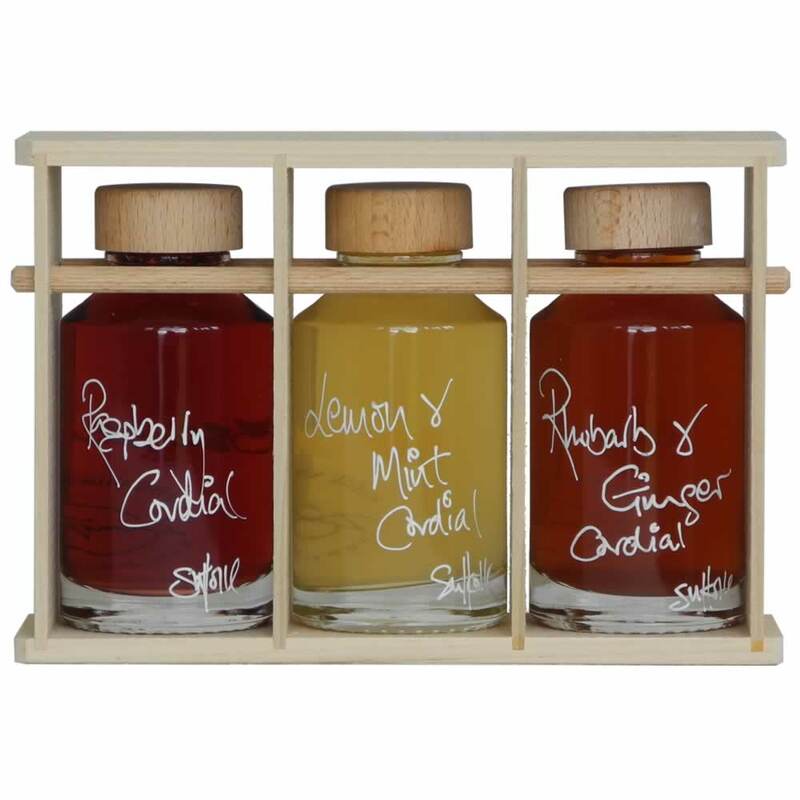 Oil & Vinegar Gift Set - £20 : A pretty set of oils and vinegars for the Spring salad lover. Treat your Mother to a Tasting - £10 per person : Book your places now at our tasting evening on Fri 24th March later this week. Miniature of Raspberry Vodka - £5 : A small sip of one of our most popular drinks of all time. If you are local to Oxford or tempted to visit us in this beautiful City one day, then click to WIN 2 Oxford University & City Walking Tour tickets, courtesy of our friends at Experience Oxford. Your friendly and knowledgeable guide will lead you through the streets of Oxford, describing its history, architecture and traditions. You will also get to visit one of the world famous colleges, its quadrangles, chapel and beautiful gardens. Sound like fun day out? And finally, thankyou to all who entered our recent Mother's Day competition for a Mini Gin Rack which has been won by Alison de Metz from York. Alison, look out for your email! This is your personal invite to join us for a Tasting Evening we are to hold on Fri 24th March. It is a great chance for you to taste some of our newest products, such as our new Glen Moray 9 Year Old Single Malt Scotch Whisky 60.2%, and also have a sip of our delicious new Yummy Mummy Cocktail. This fabulous gin based cocktail was created by our Oxford Shop for our recent Staff Christmas party cocktail competition. If you like your gin with a hint of orange, it takes some beating! Our planned tasting evening is very much for all to attend and yet could be an excellent treat for a Mother's Day gift. Our tasting evening will be based on our popular Standard Tasting Evening. It will start at 6.30pm with a cocktail drink or two and last approximately for one hour. The evening is designed to be relaxed and fun and aims to unlock some of the secrets behind our unique range of handmade British food & drink. At the end of the evening there will be a chance to purchase some of your favourite products using a pre-paid shopping voucher. Places are limited at the tasting due to space contraints in our shops, so booking is essential. The cost to attend is £10 per person, which includes a £5 Shopping Voucher to spend during the tasting. To book please email your contact details and the shop location in which your tasting is to be held (Edinburgh, Glasgow, York or Oxford). Alternatively please call our Customer Service Team on Tel: 0845 648350. Thankyou for your continued enthusiasm for us and let's hope that Spring manages to spring soon! There is now only 5 days left for you to claim your 15% discount when refilling your old Demijohn bottles. So why not plan a quick party this weekend and enjoy draining a few nearly empty bottles "down the hatch" with a collection of friends, before popping back in for a refill? By refilling your Demijohn bottles you not only save on the cost of the original bottle; until Tue 28th February 2017 we are offering an additional 15% discount on the cost of your refill. When refilling, please always ensure your bottles are as clean as possible prior to returning. Simply request your refill discount from a member of our Staff at time of purchase. We will do the rest, including removing any labels and providing new corks if necessary. Congratulations go to Mr Stuart Old from Colchester who has won our Valentine's Day competition for a Heart of Raspberry Vodka, also known as One for the Heart. Thankyou to all those who entered. If you fancy your chances once again then please click to enter our latest competition to win a £30 bundle of kiln dried logs and other items from our friends at Certainly Wood. Have a great time this weekend trying to finish up all your old Demijohn bottles. We hope to see you before Tuesday next week for a refill! Valentine's Day falls on Tuesday next week, are you ready? For some it makes their nose curl just at the thought of it, for others it is a moment to express their most passionate feelings. If you are the romantic type, then our Valentines gifts ideas may be just what you need. Alternatively, for the brave, how about booking a surprise Tasting for Two in one of our shops? This popular and fun tasting can be held on a day and time of your choosing. If you are close to our Oxford Shop, we will be running a special Valentine Tasting Evening with canapés, starting at 6.30pm on Tuesday 14th Feb 2017 for one hour. The cost is £15 per person, which includes a £5 shopping voucher to spend on the night. Individuals and couples are welcome, however, booking is essential as places are limited. To book please email us with your contact details as soon as possible. Refill Discount Offer - Ends Soon! It is still a very good time to refill your empty Demijohn bottles. By refilling you not only save on the cost of the original bottle; until the end of February 2017 we are offering an additional 15% discount on the cost of your refill, whatever delicious product that may be. I hope you have a good weekend and that we see you again soon for a refill. Demijohn News - 15% Discount on Refills Starts Today! Our Sloe Gin is a Winner! Happy New Year. We have started 2017 on a tremendously high note with the news that our traditional, British Sloe Gin has won the World Sloe Gin Championships for the 3rd year running, hooray! We now have more Sloe Gin back in stock, along with other popular lines, if you are yet to try some for yourself. Have you got a collection of empty Demijohn bottles that are sitting around your home gathering dust? More than just being a sign of a few good parties over the last month, now is a very good time to refill them. By refilling your old Demijohn bottles you not only save on the cost of the original bottle; until the end of February 2017 we are offering an additional 15% discount on the cost of your refill, whatever delicious product that may be. With many Burns Night suppers or end of the January Blues parties being planned, refilling now might make perfect sense. 20 Dec 2016 - "Received my order today - absolutely love the hand written messages as requested and the packaging is beautiful - will definitely be using you again - well done and merry Christmas x"
27 Oct 2016 - "I visited your Edinburgh store with a friend this past Saturday and just wanted to compliment both your products and your staff. We were able to try several samples before buying, which made it very difficult to choose a few to take home on our limited shopping budget. The guy that was working was very helpful, friendly and funny; based on the other reviews I've seen, you seem to have a knack for hiring great staff. I will definitely be back if I'm ever back in Edinburgh or one of your other locations." If we have got it right for you also in the past, and you feel like we deserve a little credit for our efforts please nominate us as Best Food Retailer in this years BBC Radio 4 Food & Farming Awards. It is a long shot for us to win this prestigious award, so we will keep our fingers crossed! Our deliciously fruity Raspberry Vodka is as popular as ever, especially as Valentines gifts. If you fancy your chances to win our One for the Heart, a 500ml heart shaped bottle of Raspberry Vodka Liqueur 22% delivered free to your door, please click to enter our Valentines Competition without delay. We look forward to seeing you for a refill soon. 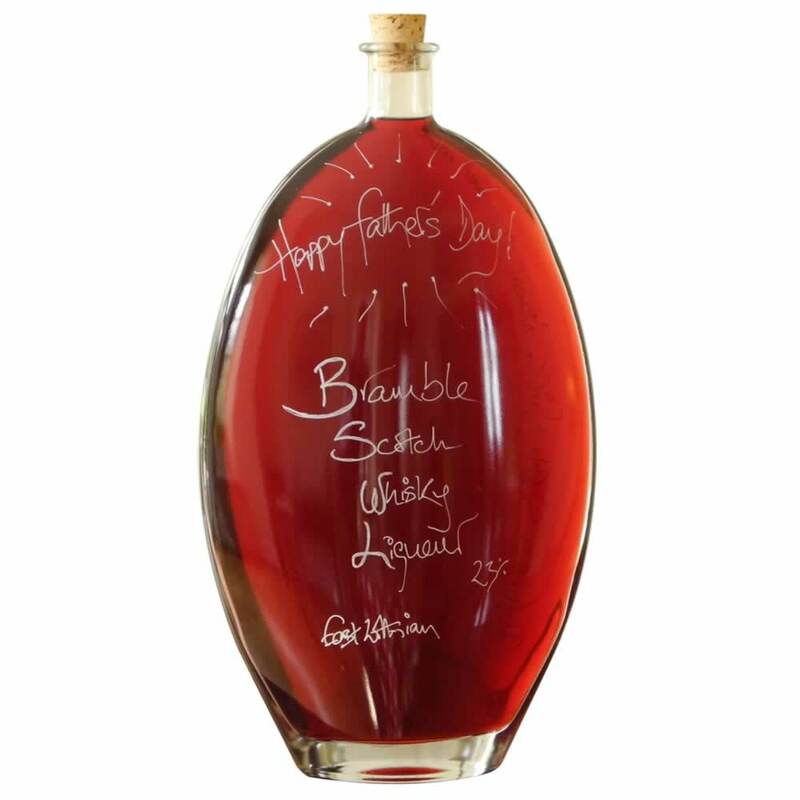 Big Daddy - £152.50 - 3 litres of fruity Bramble Scotch Whisky Liqueur, for Daddy to share! Christmas Late Opening has Started! We are now open late each day in all our shops to allow for a more comfortable shopping experience in the run up to Christmas. It will be most busy during the middle of each day, so please do consider coming earlier or later if at all possible. In addition, do use our online click and collect service to save yourself time when you visit. Please see our Christmas Store Opening Hours for more details. Delivery is currently free for UK Mainland orders over £40 when using our Standard 4 to 5 working day service and we will always strive to do our best to get your order delivered safely and on time. However, if your order is very urgent, please alert us and we will do everything possible to put it to the front of the queue. To help us ensure your order is delivered in time for Christmas, please place your order prior to Sun18th Dec for our Standard UK delivery service or by Tues 20th Dec for our Express service. Please note that delivery times cannot be guaranteed. See our shipping page for more information. 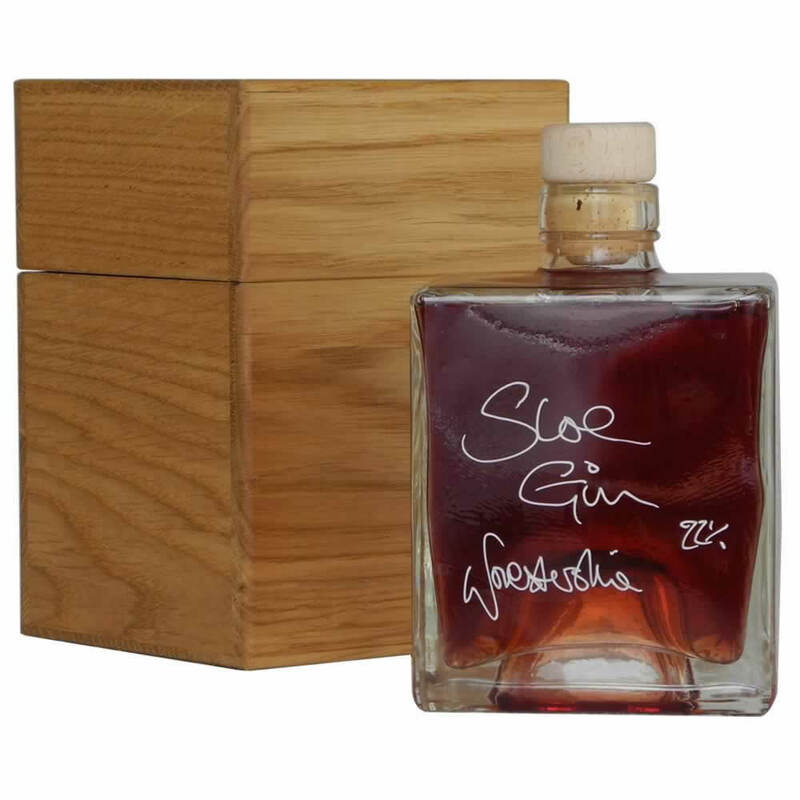 Congratulations go to Mr Leech from Liverpool who won our latest competition for a Ball of Sloe Gin. Thankyou to all who entered and watch out for our next competition which will be posted soon. Good luck choosing your Christmas presents, I hope our ideas help. We look forward to hearing from you soon. New things have arrived on our shelves. We have created a fresh range of Christmas Hampers that will make excellent Christmas gifts, and added a new range of delicious handmade Cordials for you to try. Our new range of cordials includes 3 flavours Rhubarb & Ginger, Lemon & Mint and Raspberry. Designed to be exciting in taste, yet not too sweet, they will hopefully make your Christmas party as fun for your guests that are not drinking alcohol as all the others! And finally our big Christmas free delivery offer ends soon. You can still take advantage of free delivery* on all online orders over £25. We will also include a free 40ml bottle* of something very nice from our Demijohn cupboard if you spend £50 or more. Terms apply, see our Big Christmas Offer for details. 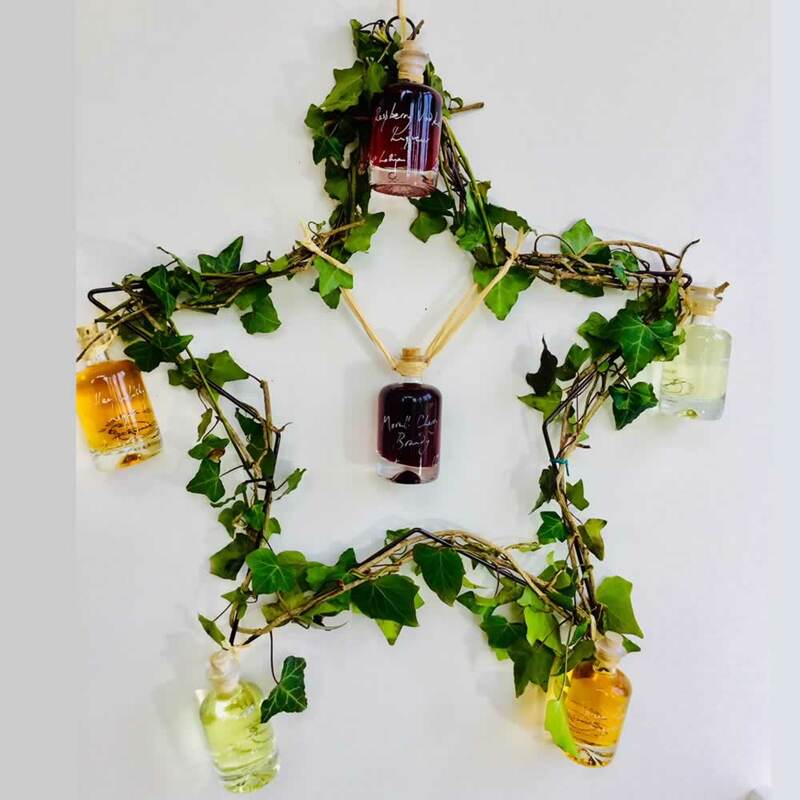 Demijohn News - Our Big Christmas Offer! Christmas is coming fast, so now is a very good time to place your online order for some fabulous Christmas gifts. To help you, we are offering not only free delivery* on all online orders over £25 for a limited period, we will also include a free 40ml bottle* of something very nice from our Demijohn cupboard of delights for the first 100 orders we receive of £50 or more. Simply place your order online by the end of November to be included in the offer and receive your free Christmas present from us. If you get stuck please do contact our Customer Service Team in Edinburgh who will do their very best to help. We look forward to hearing from you soon. *Terms: Sorry, there are a few conditions to this offer. A free 40ml bottle of Demijohn product will be added to any eligible order regardless of its delivery address, however, we will decide what contents is included in your bottle! Free delivery applies to our Standard 4 to 5 working day UK mainland address service only, normally £5.95. Both offers end at 23.59hrs on 30 Nov 2016. Other delivery charges may apply, see Shipping for more details. In response to popular request, on Wed 16th November we have organised a special pre-Christmas Tasting Evening in each of our 4 shops, Edinburgh, Glasgow, York and Oxford. Trying some of our unique and delicious products can be a lot of fun and this is certain to be a great opportunity to choose a few early Christmas presents. So, do not miss this opportunity to get your friends, family or work colleagues together and treat yourselves to an evening out. The event will start promptly at 6.30pm with a cocktail and last for about an hour. Cost to attend this one-off event is just £10* per person of which £5 can be redeemed as a shopping voucher on the night against any purchase made. Spaces have been filling up quickly, so please choose your preferred shop then either email your choice and contact details to info@demijohn.co.uk or call our Customer Line on Tel: +44 845 604 8350. *Terms: Normal price £14.50 per person. Please note that after your booking is confirmed your £10 attendance fee is refundable only in the event of cancellation of the Tasting Evening by Demijohn. The £5 shopping voucher is valid only during the tasting evening. We now have a dedicated team to assist with corporate event and gift enquiries and they are ready to help. A Tasting Evening is an excellent and affordable way to entertain a group of work colleagues or friends in the run up to Christmas and can take place on a date of your choosing. Alternatively if you need a collection of presents for work colleagues, our products can be personalised to make simple, unique and beautiful corporate gifts to meet virtually any budget. Contact us to find out more about booking your own tasting event or to discuss a quote for a personalised corporate gifts order. Sloe season has arrived and with it the need to harvest Sloe berries from rather prickly bushes. Sloe Gin is one of the classic drinks of the British Countryside. With its rich, port like taste Sloe Gin can make a fabulous after dinner drink or something with which to fill your hipflask. The stakes are high to make a first class drink each year, and as our Sloe Gin won the World Sloe Gin Championships for the last two years we have quite a reputation to uphold. So last week some of our enthusiastic Demijohn Staff marched on the hedgerows of Galloway to pick a little of the elusive Sloe for our 2017 batch of Sloe Gin. Our haul was good, and luckily so was the weather and the lunch! You may make your own Sloe Gin, you may have friends or relatives who make their own. Everyone involved in Sloe Gin's annual production understands the need to keep the location of their precious Sloe berries close to one's chest. They also understand that only time will assure you of a drink with a perfectly deep flavour similar to a vintage port. After at least 10 months of maturing in a London Gin, Demijohn Sloe Gin is nearly ready for drinking. Often we allow 12 months just to be sure. Sloe Gin is therefore aptly named. We recommend you come and have a sip before it is all gone. If you would like a chance to try our Sloe Gin first hand, among the many other delicious products we have on tap in our shops, then please sign up now for our special Pre-Christmas Tasting Evening. This event will be run simultaneously in our four shops, Edinburgh, Glasgow, York and Oxford on Wed 16th Nov 2016. The Tasting Evening will start promptly at 6.30pm with a cocktail and last for about an hour. Tasting Evenings are fun and relaxed and will allow you to try all of our new products and many more besides, giving you some great ideas for Christmas presents. Cost to attend this special event is just £10* per person of which £5 can be redeemed as a shopping voucher on the night against any purchase made. Choose your preferred shop then either email your choice and contact details to info@demijohn.co.uk or call our Customer Line on Tel: +44 845 604 8350. Please note places are limited. Love the idea but not the date? Our special pre-Christmas Tasting Evening is based on our standard Tasting Evening which can be booked and run as a private event on a date to suit you either within our shops or at your chosen location. They are an excellent and affordable way to entertain a group of friends or work colleagues. Contact us for more details about booking your own Tasting Event. *Terms: Please note that after your booking is confirmed your £10 attendance fee is refundable only in the event of cancellation of the Tasting Evening by Demijohn. The £5 shopping voucher is valid only during the tasting evening. Christmas Fair season is about to begin. I have oiled my moving parts and dusted off the cobwebs of Autumn in preparation! It kicks off with the wonderful BBC Good Food Show in Glasgow SECC between Fri 4 to Sun 6 Nov next week. We will be exhibiting on Stand D102, in amongst a brilliant selection of other food and drink businesses. We maybe coming to a location near to you. View our Fairs and Events page for full details. If you would like a chance to win a Ball of Sloe Gin delivered to your door for free, then please enter our latest competition. Our new Light Salad Dressing Gift Set or our Fila Oil and Vinegar Gift Set are great ideas for getting the last of your Summer Salads tasting ever more delicious. So if you are planning on enjoying a weekend of warm weather like us, in a desperate attempt to cling on the remnants of Summer, then take a leaf from our book (and that would be a green one). Try dressing your salads with something exciting from our extensive Oil and Vinegar range. It is with huge enthusiasm that we announce the appointment of our new Oxford Shop Manager, Manon Deslauriers. Manon has a wealth of real life experience on her side and a great sense of French Canadian humour. Please be kind to her as she learns the ropes! Congratulations go to Ann Martin, from Fife, who won out latest competition for a Ball of Marmalady Gin. Our next competition will be published shortly, so keep your eyes peeled. I hope your weekend is as filled with well dressed green salad leaves as ours, and that we see you very soon. Don't miss our Festival Offer! If you have yet to take up our special Festival Discount Offer to save yourself 15% on purchases either online or in store, please do so now. This offer ends on Wednesday this week. Celebrate your end of Summer and our 12 glorious years in business with our Festival Offer. Order £40 or more before the end of August and receive a 15% discount on your order either online or in store in Edinburgh, Glasgow, York or Oxford. If ordering online use Voucher Code: festival2016. If visting our shops, simply request your discount from a member of our Staff at the moment of purchase. There is no limit on how many times this offer can be redeemed. Please note, free standard delivery applies to UK mainland orders over £40. Alternatively, order online to collect for free from one of our shops. Offer ends at 23.59 hrs on Wed 31st Aug 2016. I hope your Bank Holiday Weekend has been as fun as ours and we look forward to hearing from you soon. The World famous Edinburgh Festival is in full swing and our founding little shop that we opened just over 12 years ago is right in the thick of it, nestling in the eclectic curve of Victoria Street. It was on one such festival that Frances's delicious Festival Blackcurrant Ice Cream recipe was born, using our incredibly rich Blackcurrant Gin Liqueur 20% from Worcestershire. The great news is that you can adapt this simple recipe to use almost any of the 30 liqueurs in our range to make your ice creams more exciting. To vary your recipes yet further, we recommend trying out our Seville Orange Marmalade Ice Cream or our Spiced Rum and Brown Bread Ice Cream. I think ice cream heaven has arrived! If ordering online use Voucher Code: festival2016. Free standard delivery applies to UK mainland orders over £40. Alternatively, order online to collect for free from one of our shops. Offer ends at 23.59 hrs on Wed 31st Aug 2016. Firstly we apologise to all you wonderful Huddersfield Food & Drink Festival fans for missing this years event. Thankyou for the many fantastic and passionate messages of disappointment at our absence. It is nice to be missed! We will, however, be back out and about with the events team next week at the amazing Burghley Horse Trials between Thurs 1st to Sun 4th Sept, located in the Food Walk as last year. If you love horses and shopping then we look forward to seeing you there! Please check our fairs and events diary to see if we are to be near to you anytime soon. If you have yet to enter and are a fan of our Seville Orange Gin 26%, then please enter our competition now for your chance to win a 500ml Sfera bottle of Seville Orange Gin, also known as a Ball of Marmalady Gin. The competition closes for entries on Sun 4th Sept 2016. Good luck making the last of your hot Summer days a festival of ice cream fun, and don't forget to take advantage of our festival offer. 3 quick and easy Summer cocktail recipes to make your Summer a little more lively. Click the links or photos to find out how to make our Citrus Sundowner, Raspberry Fresh and Rhubarb Bellini cocktails. If you would like to try our cocktails first hand, you are in luck. The largest cocktail party in Scotland, the Scottish Game Fair at Scone Palace, is about to kick off. 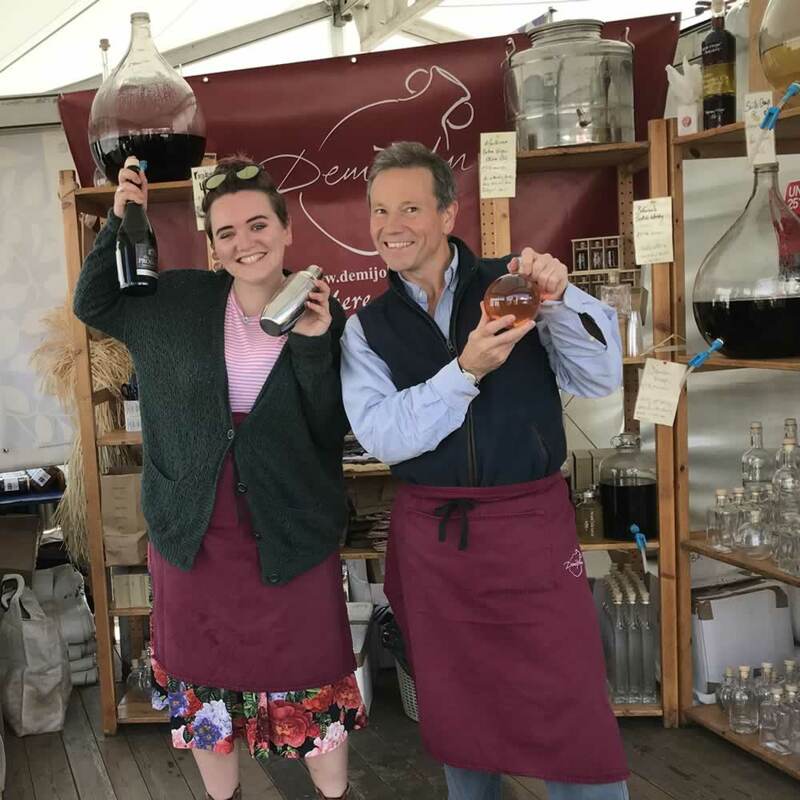 Between Friday 1st and Sun 3 July we will be in action on our stand at the GWCT Members Enclosure with both our Liquid Deli and Cocktail Bar. If you are coming to see us, be prepared for a lot of fun and don't forget your welly boots or your beautifully clean Demijohn bottles if you need a refill! We are looking for more dynamic, enthusiastic, food and drink fascinated people to join us and fill both full and part-time vacant positions in our Oxford Shop. If you or someone you know might be interested, please read our careers page for more information on how to apply for a job with us. Have fun muddling those Summer cocktails! Summer is upon us and as we all head outside we get that lovely warm feeling of entertaining friends while enjoying some good food and drinks. But the eternal question is how to provide original drinks. Many love a flute of fizz or a cold beer but a much better way to impress your guests are to whip up cheeky little Summer Cocktail Recipes and it’s sure to get the party started. Liquid deli Demijohn, who source and sell artisan handmade spirits and liqueurs, are the cocktail connoisseurs as many of their drinks make the ideal summer cocktail. Indeed, some are simply the taste of summer in a bottle. Demijohn owner Angus Ferguson has plenty of advice on serving summer cocktails. Firstly, ensure everything is well chilled and where possible use natural tasting spirits rather than highly flavoured or coloured ones as they will taint the subsequent cocktail. Secondly, try and add a bit of fresh fruit to the cocktail as that always looks and tastes better – for our rhubarb cocktails we add pureed rhubarb and our Raspberry Fresh has fresh raspberries. Next choose the right glass – for a long cocktail a high ball glass is perfect and great when you add soft drinks and ice. Where you want something smaller and stronger a wide rimmed traditional cocktail glass is perfect. You can mix up cocktails in jugs in advance rather than making them one by one when the guests arrive but always taste to check the strength and add ice at the last minute. Stir well before serving. Citrus Sundowner Cocktail is a drink designed to make you feel alive and kicking. Best drunk on a warm evening with friends as the sun goes down, it will revitalise the parts that other cocktails fail to reach. Take a high ball glass or increase the quantities and add to a pitcher for larger parties. Add 1 measure each of Lime Vodka, Seville Orange Gin, Ginger Wine with plenty of ice to a glass. Then add the juice of a quarter of fresh lime and a quarter of fresh lemon. Top up with tonic water, stirring gently. Garnish with small segments of lime, lemon and orange. Drink slowly facing into the setting sun, and feel happy! Raspberry Fresh Cocktail - This drink can make a long and refreshing way to start a warm summer's afternoon or a night on the tiles. Add 2 measure of Raspberry Vodka, to 1 of Lime Vodka, a teaspoon of Raspberry Puree (optional) and plenty of ice to a High Ball glass and top up with fresh Apple Juice. If you are still looking for fabulous Father's Day gifts for your Dad or you are ready to stock up for a Summer party, our 15% discount off your next order will be welcome, I am sure. Our new Big Daddy bottle of port-like Bramble Scotch Whisky Liqueur 23% would certainly put a smile on most Fathers' faces. However, for something even more memorable, why not book a place on one of our special Tasting Evenings to be held on Thursday 16th June 2016 next week? Everyone is welcome, especially lucky Fathers! Click to book your place now. To claim your 15% discount* off your next order in store or online, use voucher code: bigdaddy2016 prior to Sun 19th June. For in store purchases or telephone orders, simply mention the voucher code and request your discount from a member of our Staff at time of ordering. In addition, orders placed online of £25 or more before Sun 12 June 2016 are eligible for free delivery to any UK Mainland address, saving you a further £5.95. *Offer Terms & Conditions: Our 15% discount offer expires at 23.59hrs on Sun 19 June 2016. It is valid for use once on your next order only and cannot be used in conjunction with any other offer. Free delivery to UK Mainland addresses normally for orders of £40 or more. Other delivery rates may apply depending on delivery address and speed. Edinburgh's Grassmarket is holding its first of a kind Walking Wedding Fair this weekend from 11am on Sat 11th June to 4pm on Sun 12th June. We, along with many of the other quirky Grassmarket independent businesses, will be offering some very special deals and activities over the weekend. So if you are busy planning your wedding and need help choosing either wedding favours for your guests, a few thankyou presents for friends and family or simply need some of our unique drinks to spice up your wedding cocktails we think you should consider taking part. It will be fun! We look forward to seeing you soon, armed with your exclusive Demijohn 15% discount of course, and will be happy to help as required. The bank holiday weekend is looming and Summer has officially started. To celebrate we have a new Summer cocktail recipe for you to try called Hold your Horses. Aptly named, this cocktail was created while we exhibited at Badminton Horse trials earlier this month. Our Rhubarb Vodka Liqueur 20.5% is combined with our Grapefruitcello Liqueur 32% and Elderflower Vinegar to make an excitingly fresh long drink. So delightful is it to taste in fact, I think many forgot about the horse trials during that long, hot week in a field at Badminton! Find out how to make a Hold your Horses Cocktail so you too can sip like a Show Jumper and get your great weekend started! Father's Day is approaching fast on 19th June. Have you thought of a present for your Dad yet? We have many great Father's Day gifts to choose from, however, nothing could be more special than to accompany your Father to one of our Father's Day Tasting Evenings. The tasting evenings, based on our Standard Tasting Evening format, will take place on Thursday 16th June in each of our 4 shops, Edinburgh, Glasgow, York and Oxford between 6.30pm and 7.30pm. The cost to attend is £10 per person, which includes a £5 shopping voucher redeemable on the evening. Places are limited. Last year this was a very popular event, so if you would like to bring your Dad along please book early. 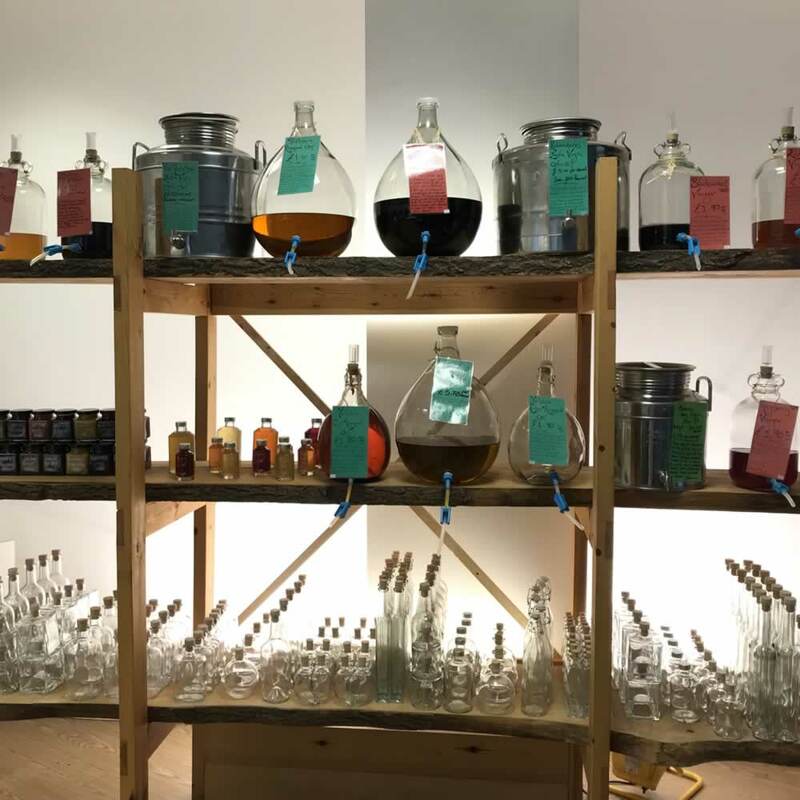 To book, simply send an email to info@demijohn.co.uk with your contact details, including the number of places to be reserved and the particular shop which you would like to attend. We will then respond with full details and organise payment to be taken prior to the event. We have been out and about this month in style. Thankyou to all who came to see us at Badminton, we will be back in 2017 for sure! Thankyou also to those who took part in the Little Clarendon Street Party in Oxford last weekend which we sponsored. Despite a splot of rain, literally 1000's turned out to see the street in carnival spirit with magical music from 6 bands and 4 choirs. Our Vinegar Spritzer Bar raised over £100 for local charity Sobell House Hospice. We cannot thank enough the hard work from everyone who made it happen and all the volunteer musicians. All our events for the year can be found on our Fairs and Events page. Have a wonderful bank holiday weekend, may the sun shine and good luck holding your horse! Oh the joys of Spring weather. But what really tells us when Spring has started or ended for that matter? For me it is not the balmy weather, not the appearance and disappearance of many lurid yellow daffodils. It is not birds busily nesting and their chicks hatching, nor young lambs leaping. For me Spring is defined by our crop of rhubarb, crucial for our Rhubarb Vodka Liqueur. New striking red stalks dart from a black soil in a confident upwards movement before enthusiastically bursting open with fabulously huge green leaves. Rhubarb's energy seems at odds with virtually all else growing in the garden, and then like daft sheep following each other to an open gate, the rest of nature follows. Before we know it, Summer is here, whoopee! And what a vegetable rhubarb is, cunning and clever. Despite its foul taste when raw and poisonous leaves, its healthy look compels most to treat it as a fruit. It can make delicious drinks like our Rhubarb Vodka Liqueur 20.5% or sumptuous puddings like our Rhubarb and Mead Pavlova or Rhubarb and Ginger Wine Trifles. Spring starts and ends with rhubarb, think about it. 2016 got off to a flying start with an evening of Demijohn Cocktails at the amazing Rutherfords Micro Pub in Kelso on 31st March. Run passionately by owners Simon and Debbie Rutherford, they kindly invited me along to mix up a few cocktails for their customers. The result was a tremendously fun evening for me, I only hope all their guests enjoyed the performance too! If you have yet to visit this small but perfectly formed establishment in the Scottish Borders, it is worth the trip. Thankyou also to all those who came to see us at the BBC Good Food Spring Show in Harrogate. Next week, Danny and I we will be in a field exhibiting at the famous Badminton Horse Trials between 4-8 May. If you happen to be in Gloucestershire and fancy a fun day out, remember to pack your bottles for refilling and please come and see us. We are located on the Food Walk, where the sun always shines! Our Oxford Shop is planning a mega party with our neighbours. If you are near Little Clarendon Street in Oxford on Sat 21st May please come and join in our Street Party between noon and 6pm to celebrate our vibrant street, full of unique independent businesses. Music, performing arts and great food and drink will make for a seriously fun carnival atmosphere on the day and there is no cost to take part. Click for more details and show your support. Fathers are getting restless, knowing that Father's Day on Sun 19th June is approaching fast! Enter our Father's Day competition now to try and win our fabulous Mini Whisky Rack delivered free to your door in time for Father's Day. More great present ideas can be found in Father's Day Gifts. Have a great weekend trying to work out when Spring is to end and Summer begin. My lovely Wife, Frances, has created an incredibly delicious Chocolate Rum Cake made with our Chocolate Rum Liqueur 29.5%. Could there be a better cake than this to feed friends and family with this Easter? However, if you are simply looking for a fun alternative to the classic Chocolate Easter Egg then have a quick peek at our Easter Gifts to find all things egg shaped, from our Chocolate Orange with a Difference to our Olive Oil and Fruit Vinegar Ball and much more. Now you really can make your cake and eat it! We would like to offer you a healthy 15% discount* off your next Demijohn purchase online or in store. Don't delay, your offer ends on Easter Sunday. Please use voucher code: easter2016 either on check out online or quote verbally to a member of our Staff within our shops to redeem your discount. *Terms for Easter 15% Discount Offer: This offer is not valid in conjunction with any other offer, excludes delivery charges and can be used once per customer. The offer expires at 23.59hrs on Sunday 27th March 2016. Please note our Standard delivery service to all UK mainland addresses is still FREE for orders of £40 or more, saving you £5.95. If you have yet to enter our latest competition for Easter, to win a Chocolate Orange with a Difference delivered free to your door, then please enter swiftly. This competition closes for entries on Sun 20 March 2016. Good luck baking your cake. Have a wonderful Easter and we hope to see you soon. 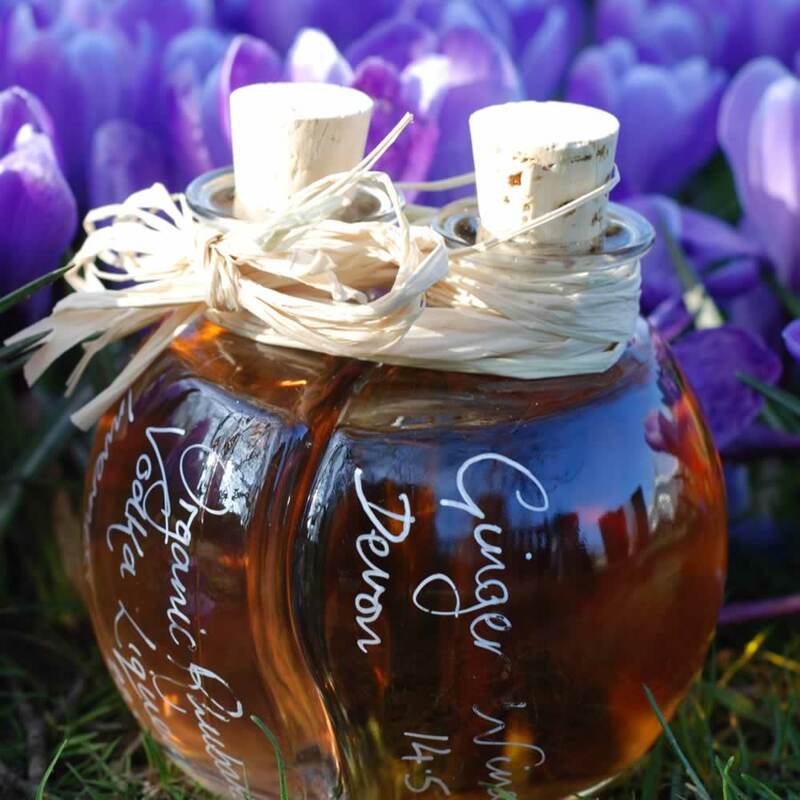 Demijohn has some marvellous new Mother's Day gift ideas for Mothering Sunday on 6 March 2014. To every Mother in the land, therefore, please forward this email to the person in your family tasked with rewarding your continual love, care and attention. Bad luck Fathers, you will need to wait until June! Our Standard delivery service to all UK mainland addresses is FREE for orders of £40 or more, saving you £5.95. To take advantage of this for a Mother's Day present, please place your order by Mon 29th Feb 2016. If you have yet to refill and take advantage of our 15% discount off the cost of your Demijohn bottle refill, please do so now. This offer ends on Mon 29 February 2016. Congratulations go to Michelle Martin from Glasgow who has won our Valentine's Day Competition for a 500ml heart shaped bottle of our new Chocolate Rum Liqueur 29.5%. Thankyou to all those who entered. Have a wonderful weekend and we look forward to seeing you soon. 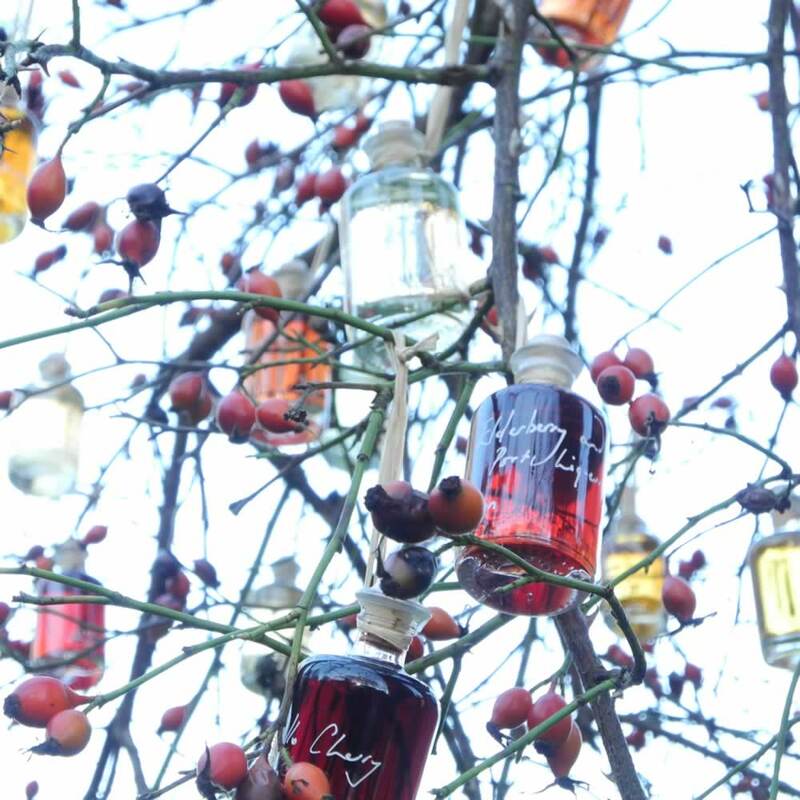 The Demijohn News - Love is less dear than you think! Love is less dear than you think! Valentine's Day is approaching fast. So if you are struggling for some Valentine's Day gift ideas inspiration prior to the 14th February like me then help is at hand. Our Standard delivery service to all UK mainland addresses is FREE for orders of £40 or more, saving you £5.95. To take advantage of this for a Valentine's Day present, please order by Mon 8th Feb 2016. We are offering an additional 15% discount off the cost of your Demijohn bottle refill if made prior to the end of February 2016 in store. By refilling you will also save on the cost of a new glass bottle. There is no catch, just please request your discount at the time of purchase. Simply give your bottles a good wash out and remember to bring them with you when you next visit. You will have fun trying to choose some of our delicious products to refill them with, we will do all the rest. If you have yet to enter, we have a new competition running to win a 500ml heart shaped bottle of our new Chocolate Rum Liqueur 29.5%, worth £33.20, delivered to your door for free. Click to view competition details and enter. Good luck with choosing your Valentine a present. We look forward to seeing you soon. A very Happy New Year to you. If, like me, you are feeling slightly shocked at the onset of Winter proper, then hopefully this will cheer you up. Our seasonal discount to encourage you to refill your precious Demijohn bottles has started, whoopee! By refilling you will not only save on the cost of a new glass bottle, but we are offering an additional 15% discount off the cost of the refill if made prior to the end of February 2016. With Burns Night and Valentine's Day approaching fast, this I think is a very good time to refill! Congratulations go to the winner of our last competition Mrs Robertson from East Kilbride who has won herself a huge pile of Certainly Wood Kiln Dried logs. We now have a new competition running to win a 500ml heart shaped bottle of our new Chocolate Rum Liqueur 29.5%, worth £33.20, delivered to you door for free. Click to view competition details and enter. Good luck with finding and washing out your Demijohn bottles. We look foward to seeing you for a refill soon. Today we won, for the second year running, the World Sloe Gin Championships with our Sloe Gin 22%, how about that! However, equally as exciting is a new Grapefruitcello Liqueur 32% which has sneaked its way on to our shelves in the last few weeks. Have you tried it yet? We think it might prove quite a popular drink at Hogmanay parties up and down the country this year, as it is really quite unique. It is always fun to surprise guests with a new potion from the drinks cupboard and our Grapefruitcello will do exactly that! A fresh, smooth taste which is almost peppery on the tongue, our new Grapefruitcello Liqueur is an exciting drink that can make some cracking cocktails too. Start your New Year party this year with our Grapefruit Vodka Mojito cocktail and you will be dancing with the bells in no time! If you have placed an order recently, thankyou and now relax. Our Teams in Glasgow and York are doing a first class job of processing your orders swiftly and we are right on track to ensure all orders are delivered in time for Christmas. Until Christmas Eve, we are open late until 8pm midweek and 6pm on Fri, Sat and Sun in all our shops to make life a little more civilised for you if you are planning a visit. Please see our Shop Opening Times page for full details. While there is plenty of time left for pre-New Year deliveries, last orders to ensure a safe delivery by Christmas must be placed by midnight tonight for Standard deliveries and by midnight on Thursday 17th Dec for Express deliveries. After this time we will still process your order, however it is unlikely your order will arrive in time for Christmas. Weather may also affect delivery times. See our Shipping page for more details. Win yourself a heap of Firewood for Winter! It is not only our drinks such as our World class Sloe Gin that can keep you warm this Winter, we now have some firewood to hand out! Enter our new competition for your chance to win £125 of Kiln Dried Firewood from our friends at Certainly Wood. Click to view competition details and enter. From all of us at Demijohn, we wish you a very merry Christmas and a jolly good party at New Year with our Grapefruitcello! If, like me, you can hear the Christmas countdown clock ticking and are still trying to think of ideas for Christmas presents, well, help is at hand. In no particular order, these are our top 10 Christmas gift ideas to get most people out of that tricky spot! With free standard 4-5 working day delivery for orders over £40 to all UK Mainland addresses, simply place your order by Wed 16th Dec this year and we will do the rest. Don't forget to add a free personal message and Christmas 2015 is sorted! Our easy shopping news gets better and better. We are now open late until 8pm midweek in all our shops to make life a little more civilised for you if and when you visit prior to Christmas Eve. Please see our Shop Opening Times page for full details. In addition you can place your order now and request a delayed delivery. Alternatively you can choose to collect your order from one of our shops to save yourself time. To request a delayed Christmas delivery please simply annotate "Christmas Delivery" in the special delivery instructions notes field when you checkout online. Delayed Christmas deliveries will all be despatched in the week commencing Mon 14 Dec 2015 for delivery by Wed 23 Dec 2015. Last orders to ensure a safe delivery by Christmas must be placed by Wed 16 Dec 2015. After this time we will still be processing orders, however it is unlikely your order will arrive in time for Christmas. Weather may also affect delivery times. The winner of our Mini Gin Rack Competition which ended on 30 Nov 2015 was Fiona MacDonald. Thankyou to all those who entered, Fiona will receive her prize shortly. We are here to help. So if you get stuck simply contact us and we will do our absolute tippy top best to help. We look forward to hearing from you soon. There is now only 7 days left for you to take up our Christmas free delivery offer if you have yet to do so. We have been having fun adding ever more great Christmas gift ideas to our website to make choosing your presents this year as easy as possible. Don't forget you can place an order online for collection in any of our shops to help save you time. There is no additional charge for this service. To qualify for free* Standard UK Mainland delivery, simply place an order online of more than £20 before Tues 1st December, saving you £5.95. Please note terms apply, see below. Thankyou to all those who have bravely trekked through cold and stormy weather to visit us in our shops or our various Christmas fairs over the last week or so. It is much appreciated. My van is now packed and ready for the second to last event of 2016, however, my body most certainly is not! Starting on Thursday is our biggest show of the year, the vast BBC Good Food Winter Show at Birmingham's NEC. Charlie and I will be dancing on our little stand number H44 with a few of our popular products for you to try, including our new Chocolate Rum Liqueur. More details of the last two events of the year can be found on our fairs and events page. We are looking forward to hearing from you again soon, whatever the weather! *Free Delivery Offer Terms: To qualify for our free Standard 4-5 working day UK Mainland delivery offer you must spend £20 or more online per delivery address prior to 11.59hrs on Tues 1 Dec 2015. There is no limit on how many orders are placed. Our normal Standard UK Mainland delivery charge is £5.95 or is offered free for orders over £40.